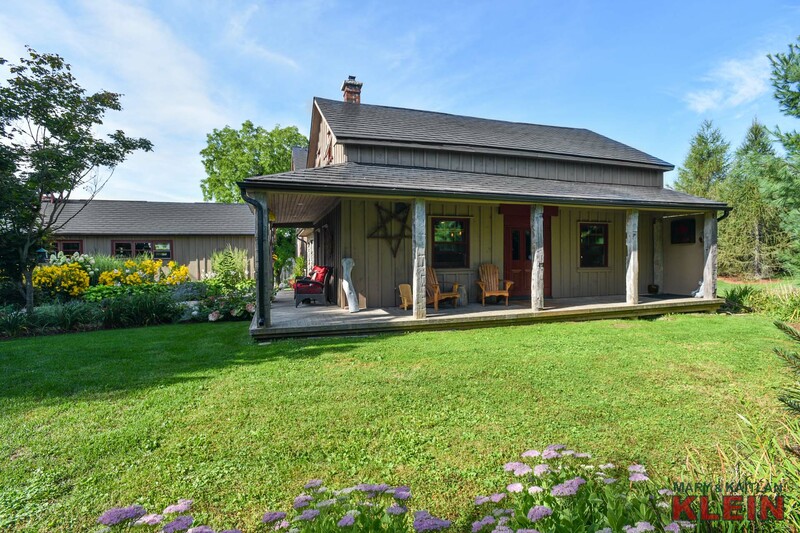 For those seeking the ultimate in country living with the character of old, but workmanship and quality of today, look no further. 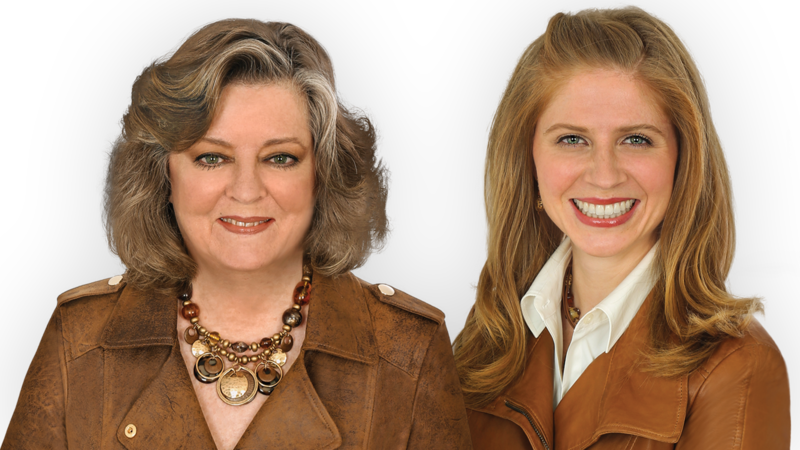 A unique piece of history preserved, appreciated and loved, is now being offered to a new owner. 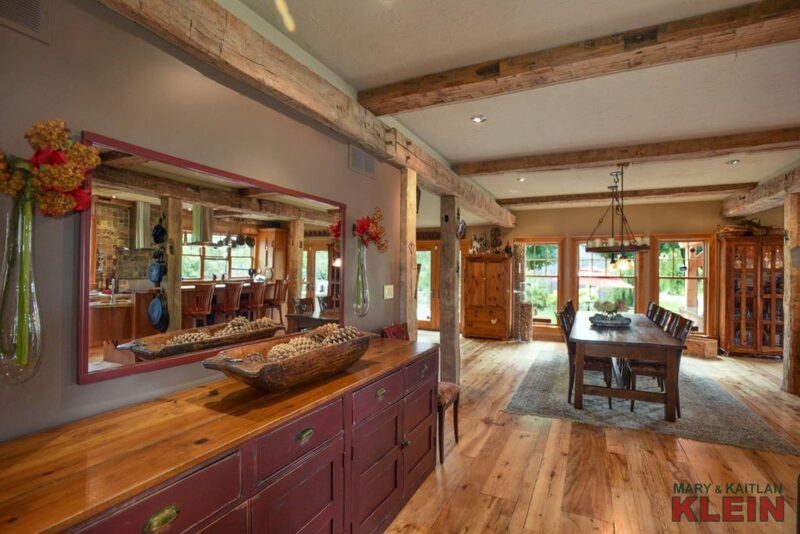 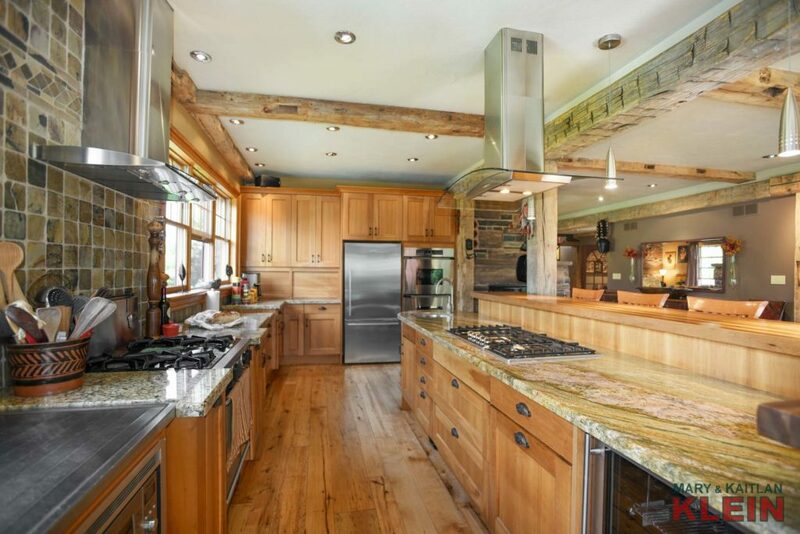 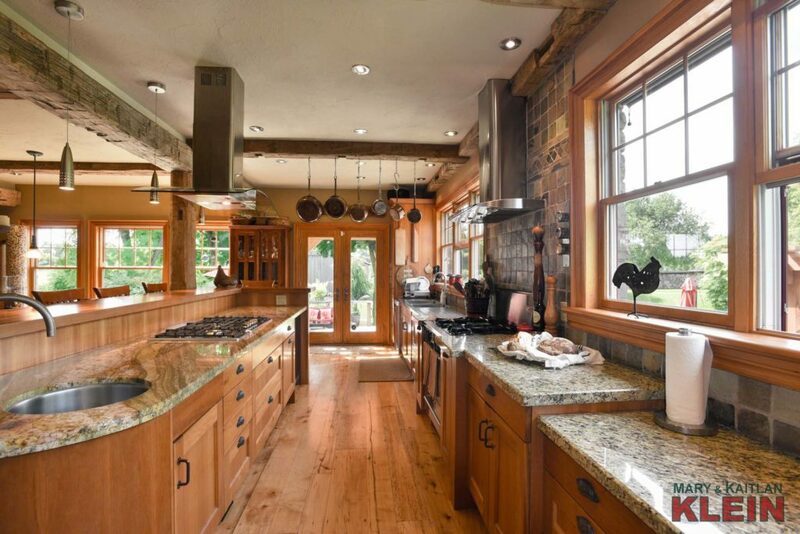 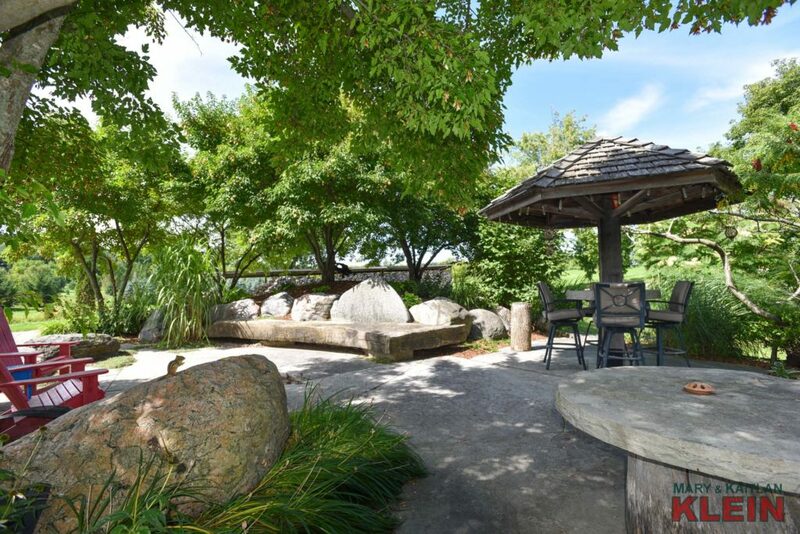 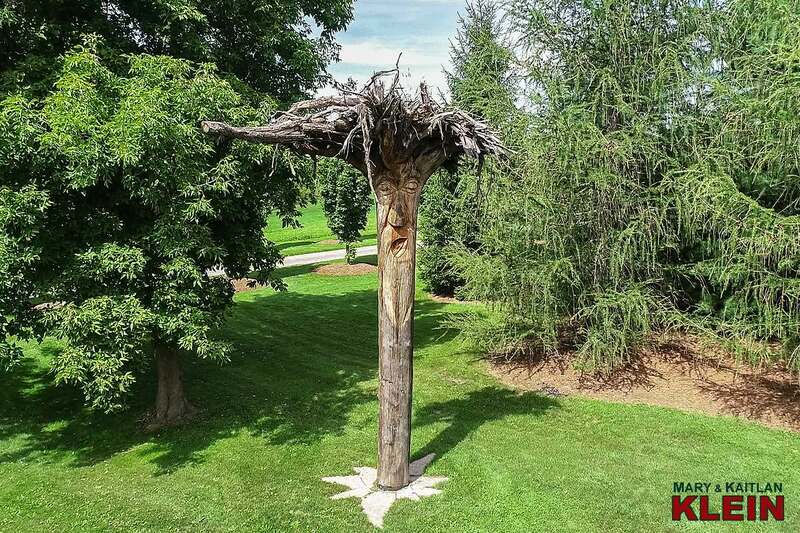 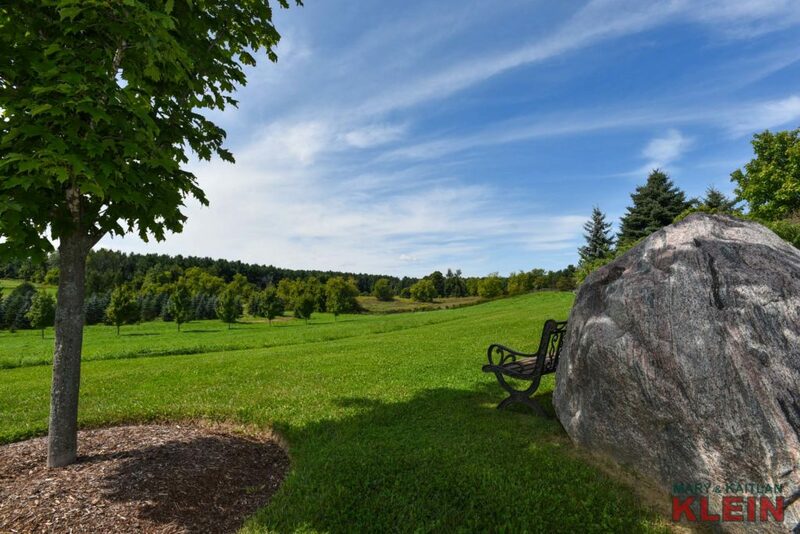 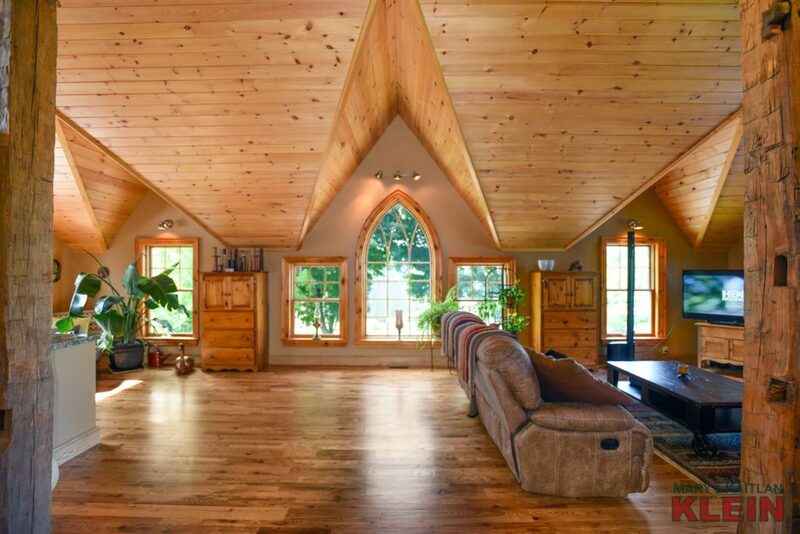 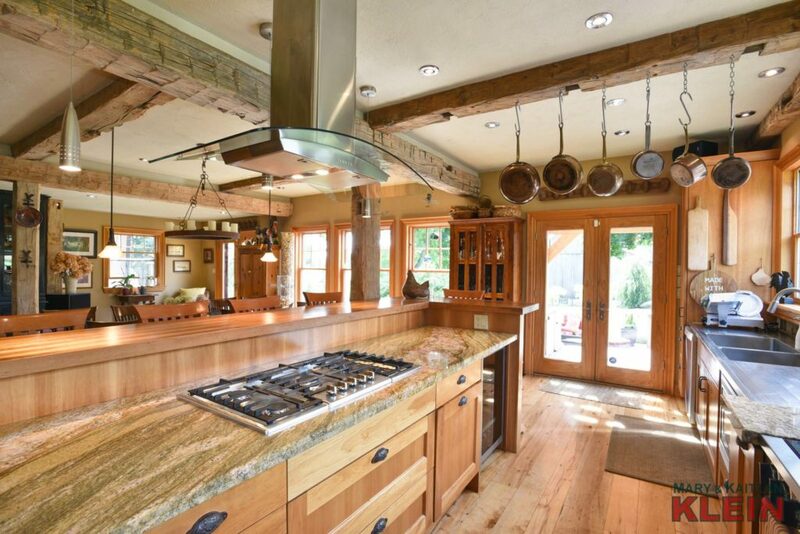 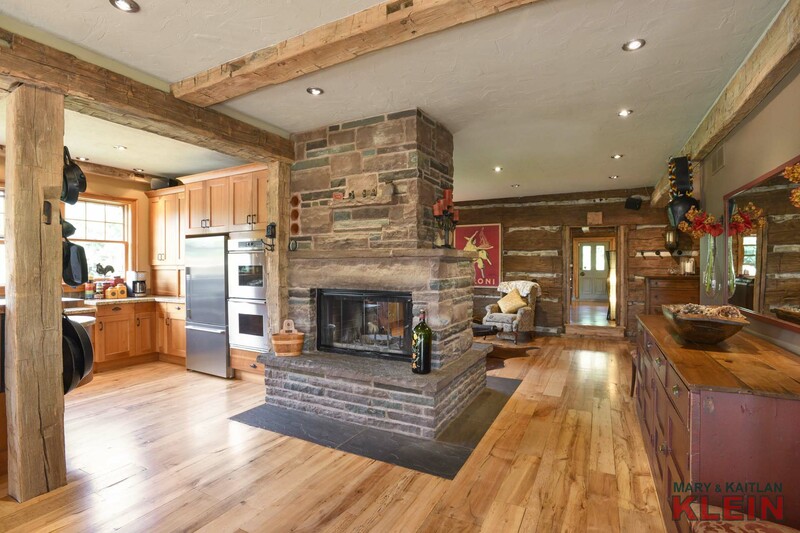 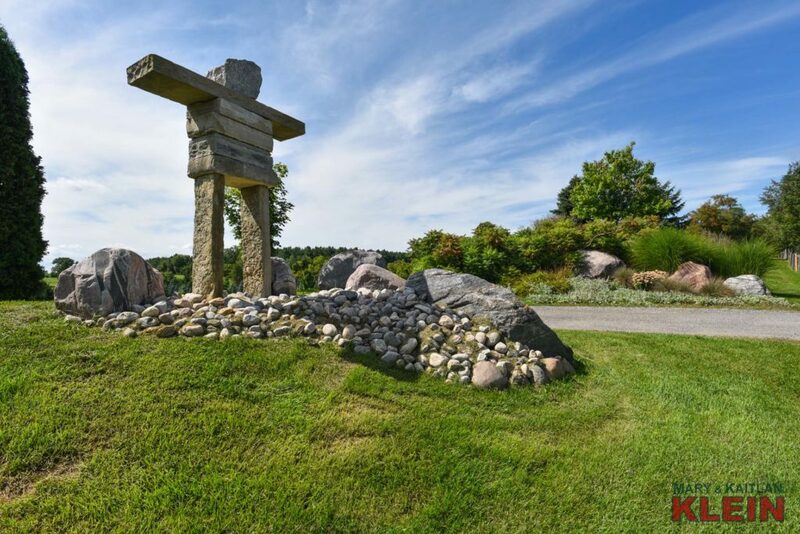 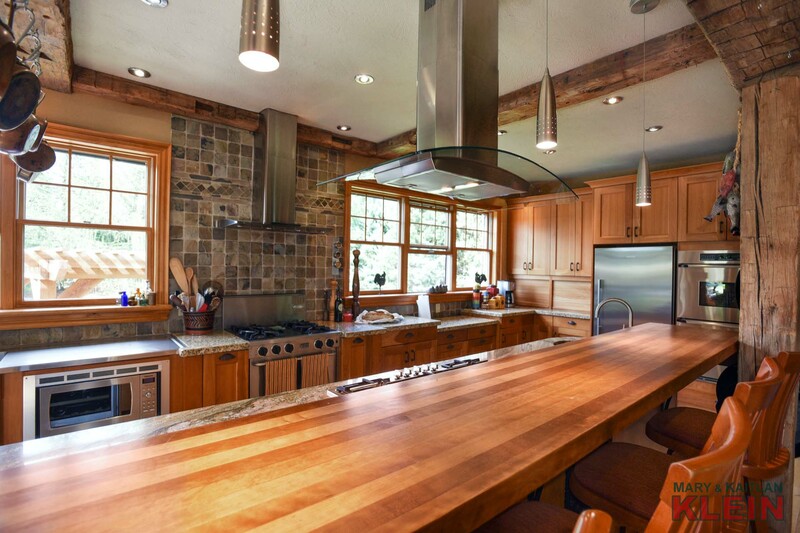 Two gated entries, one with a stone Inukshuk marking the path along a tree-lined drive into this amazing 27.84 acre property with renovated 1800’s log home with an 2005 Limestone addition having 3,652 sq. 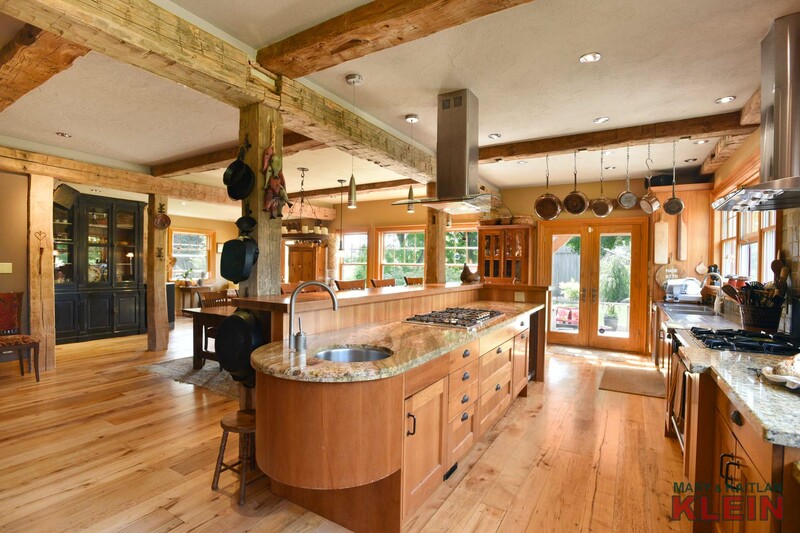 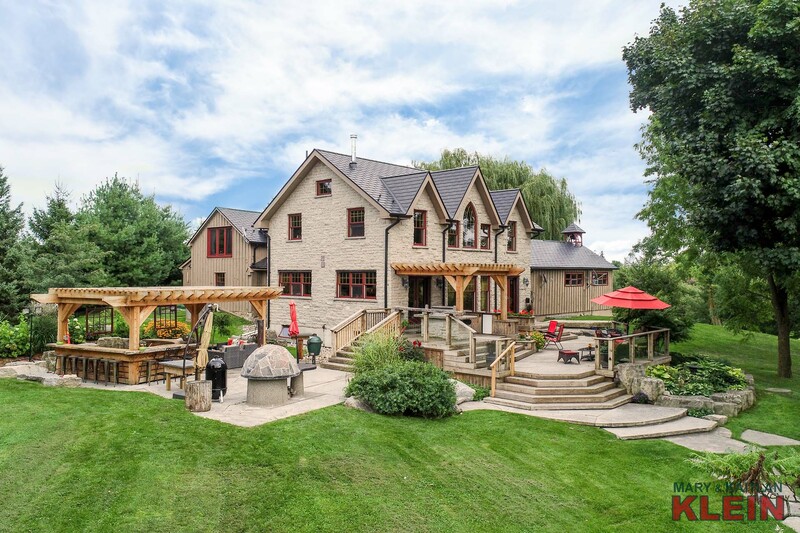 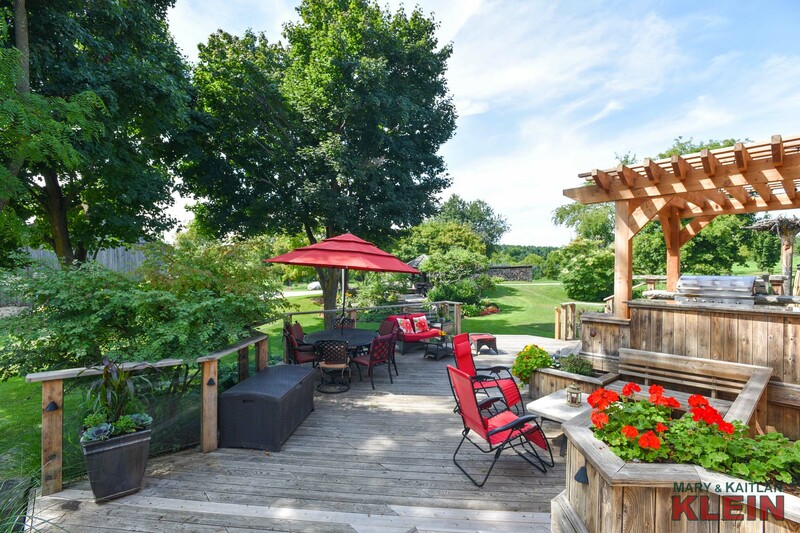 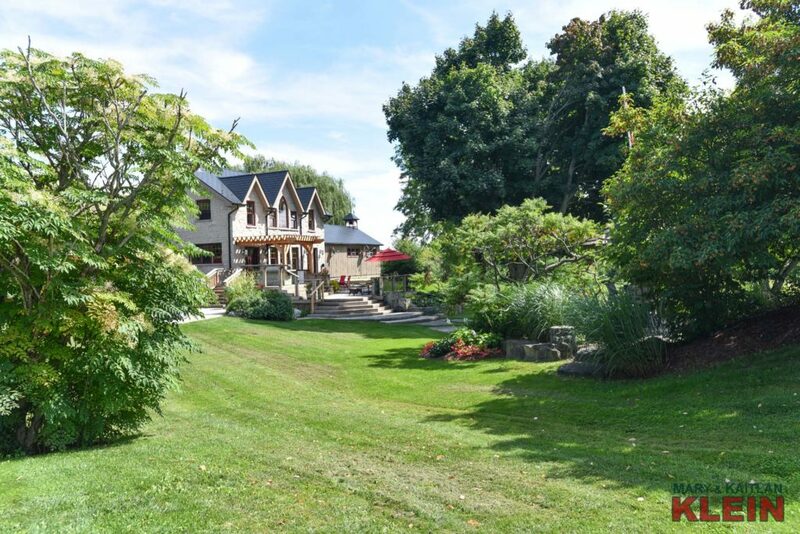 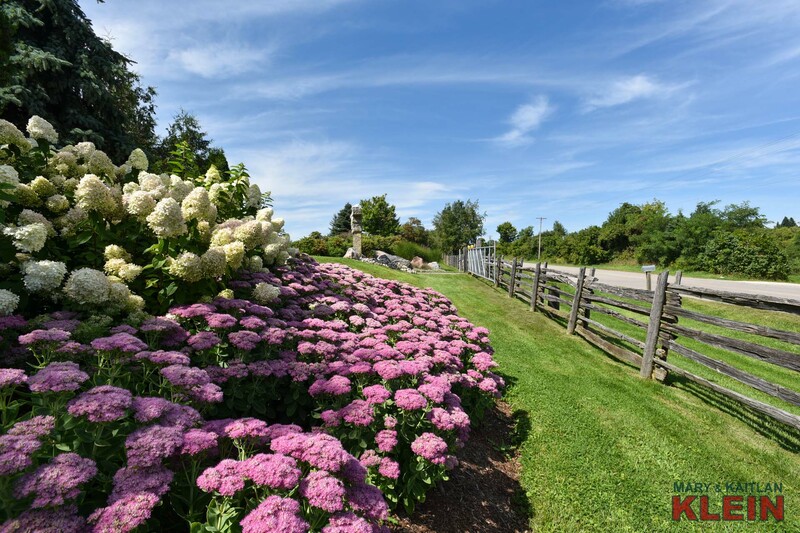 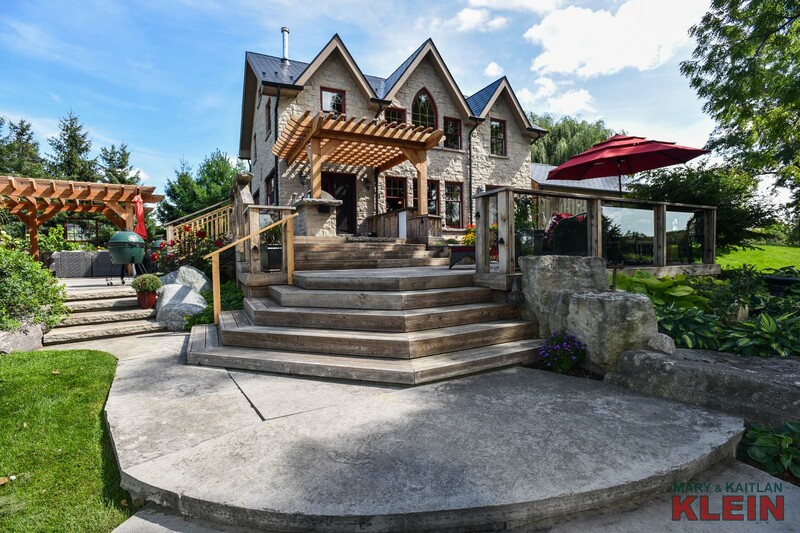 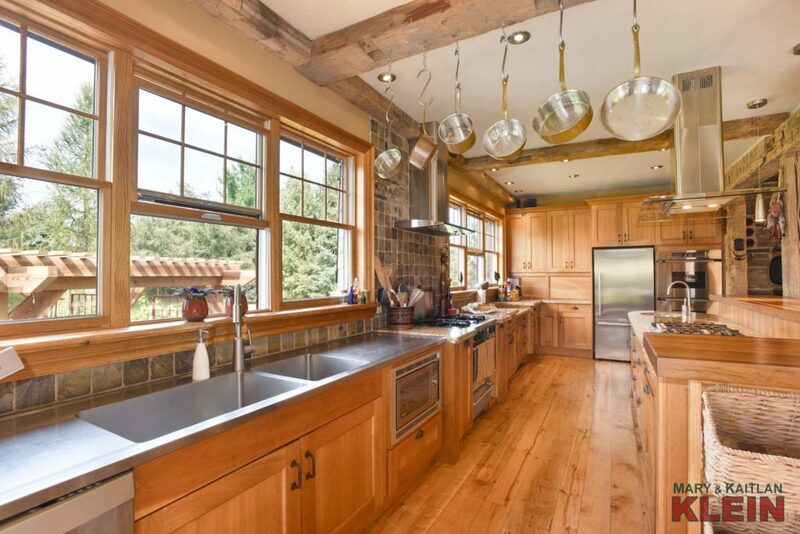 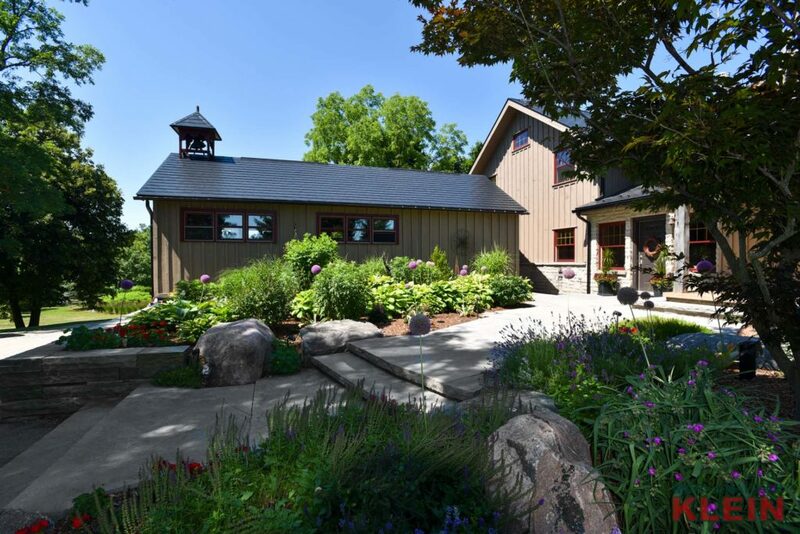 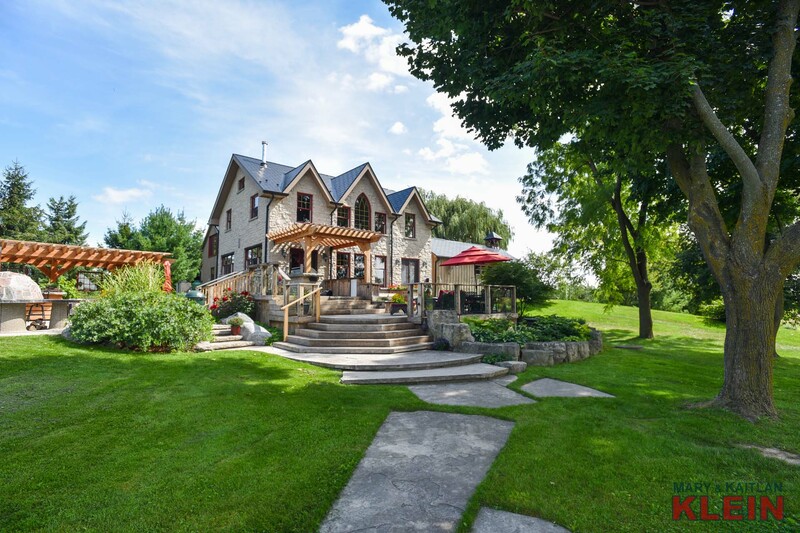 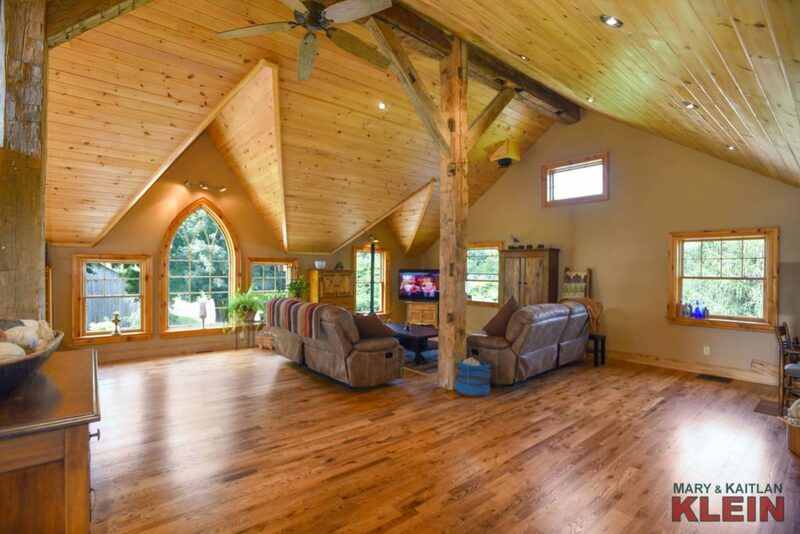 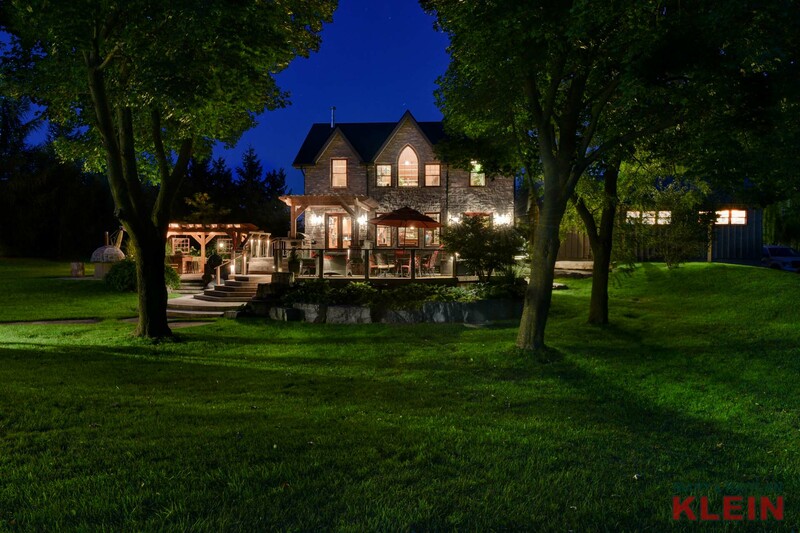 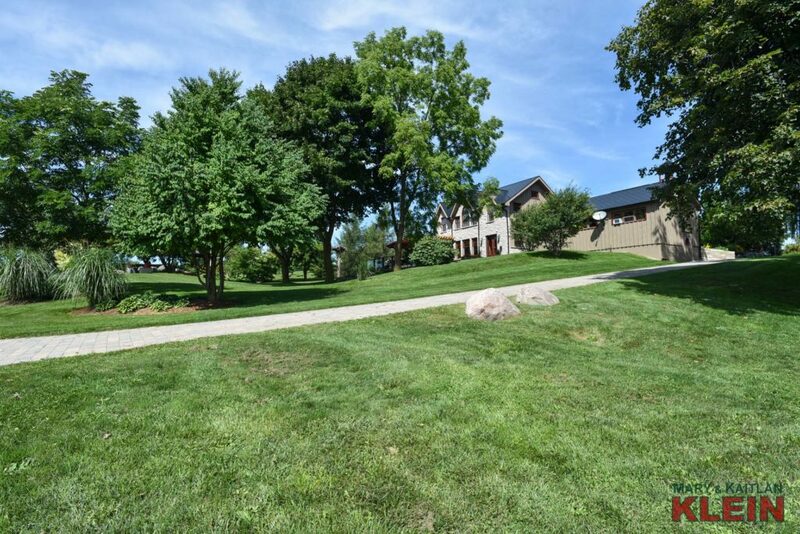 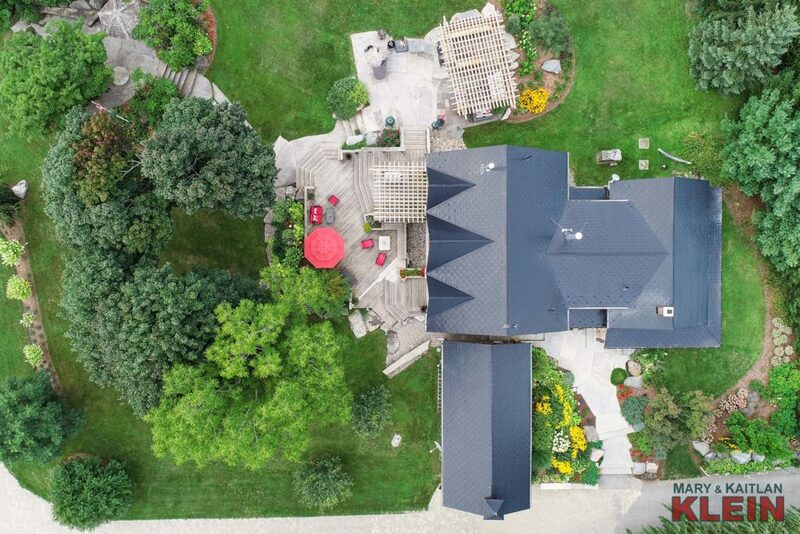 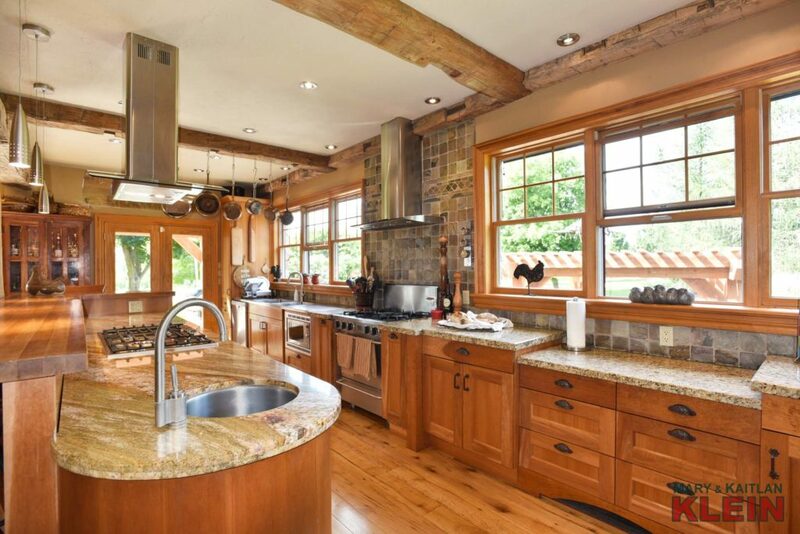 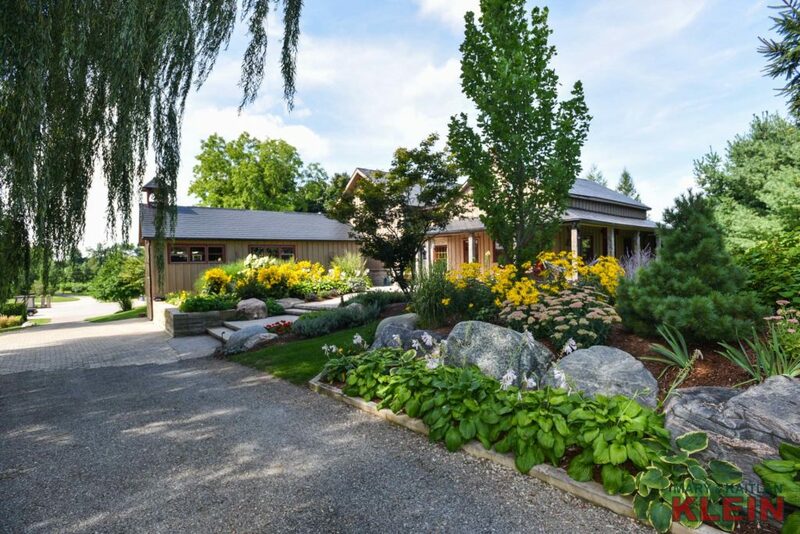 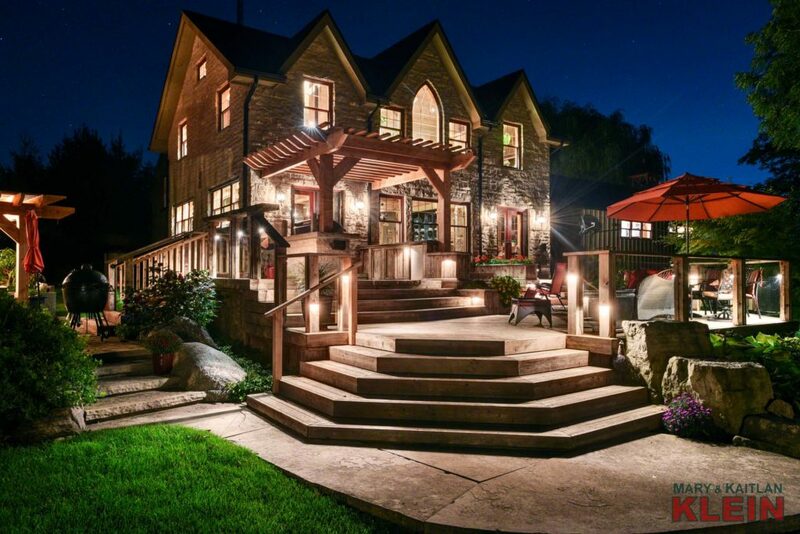 ft., an in-law suite with separate entry, an 88 x 56 ft. bank barn, a detached home office building, professional landscaping of the highest caliber with stone walkways and amazing perennial gardens. 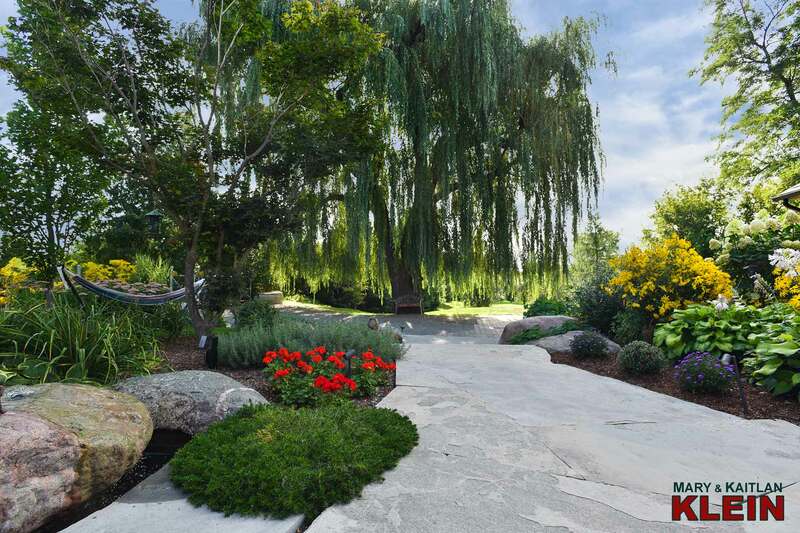 There are gorgeous perennial gardens on both sides of a Georgian Bay stone walkway which leads to the main home entry with decking. 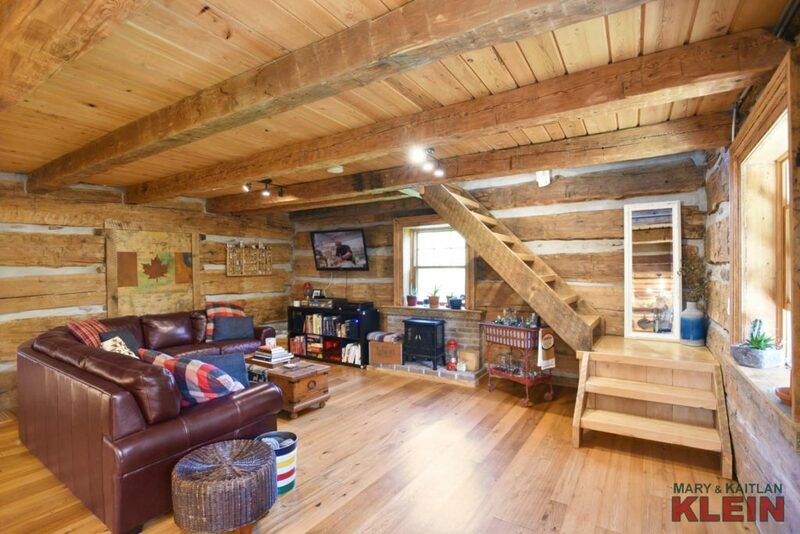 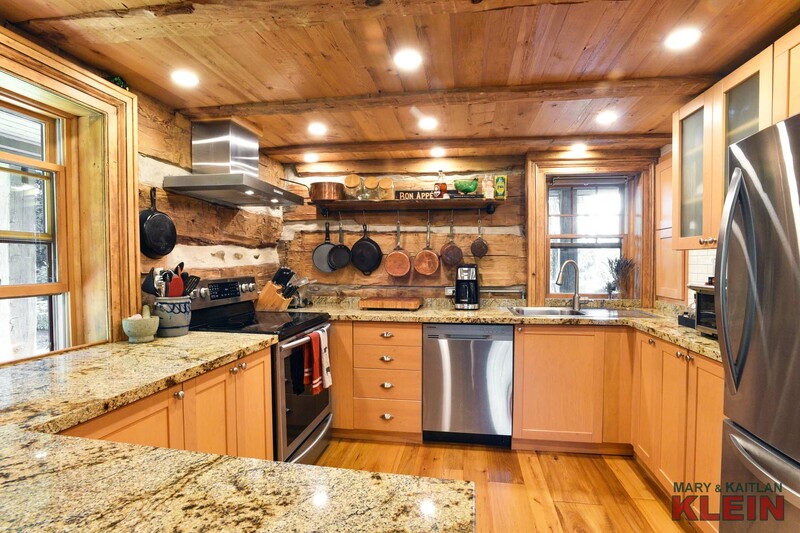 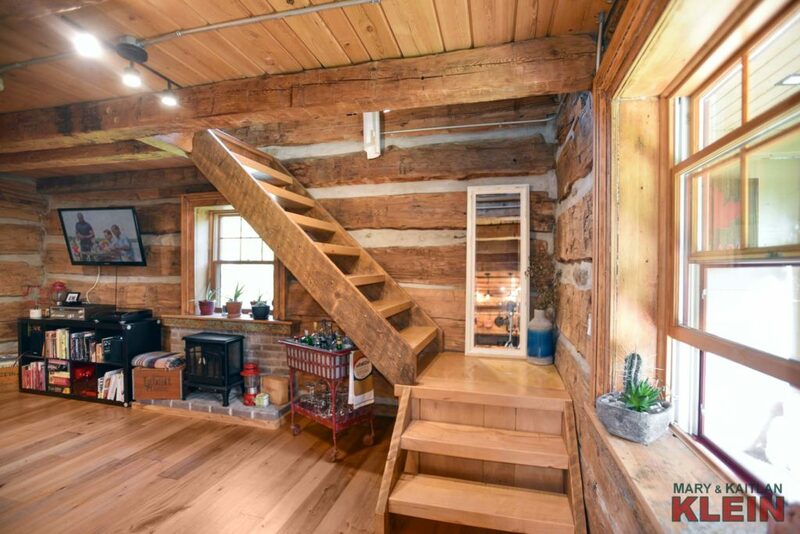 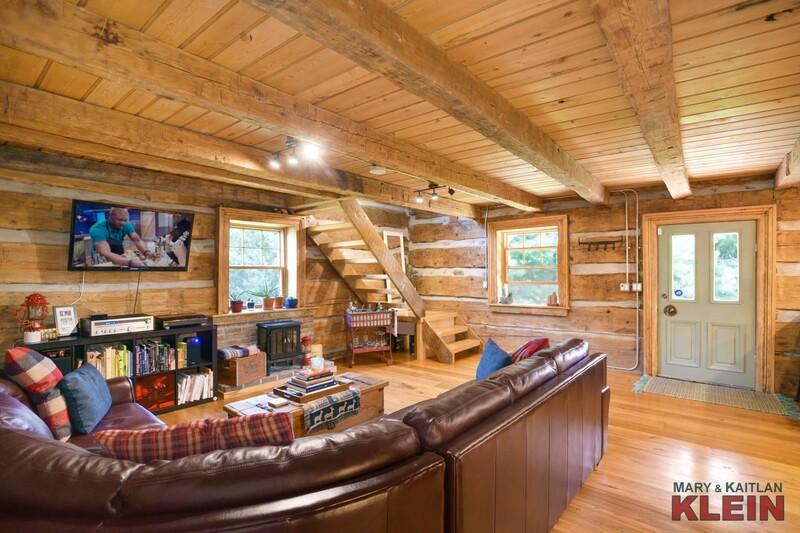 A crawl space under the original log home was re-done two years ago with concrete floors, new 10-inch concrete wall, and underpinning, beams were reinforced and shelving was added. 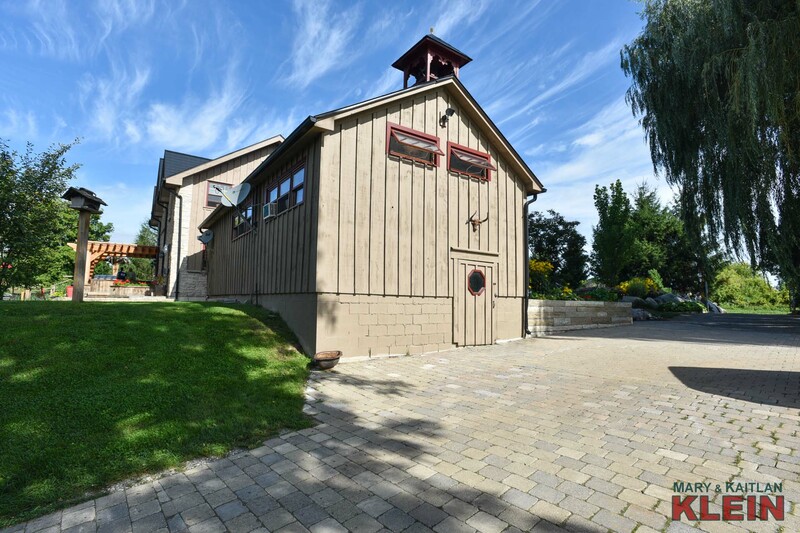 The oil furnace is housed in this area. 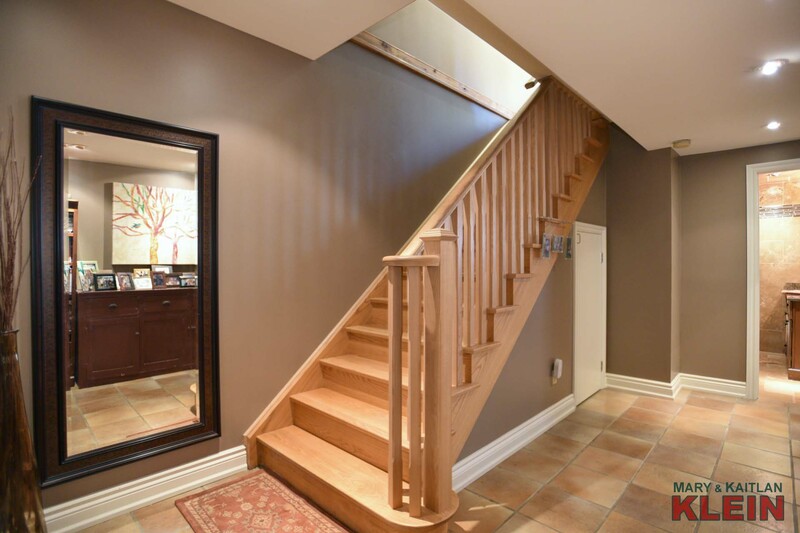 The Foyer has two closets, in-floor heated slate floors, pot lights and stairs which lead to the upper level. 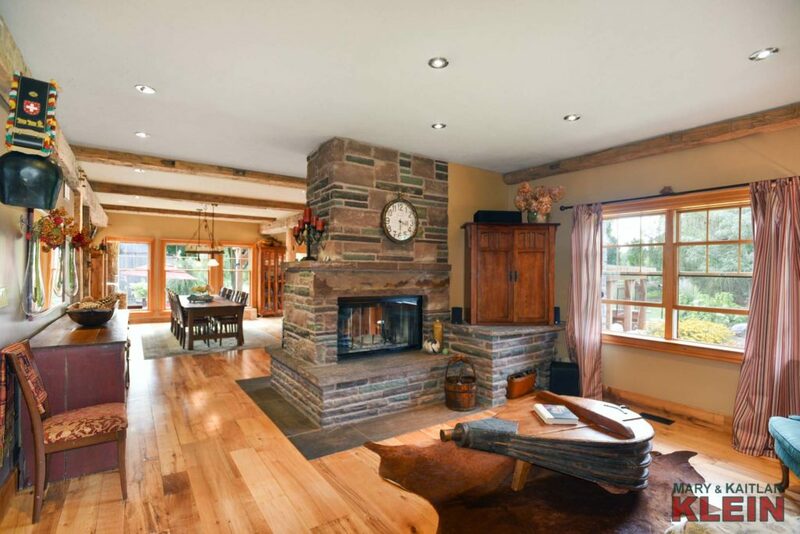 A welcoming Sitting Room has an open, double-sided stone, wood-burning fireplace which is the focal point of this room and the floors are antique maple. A two-piece Powder Room has slate floors, a tin ceiling, and a nearby pantry closet for extra storage in the hallway. 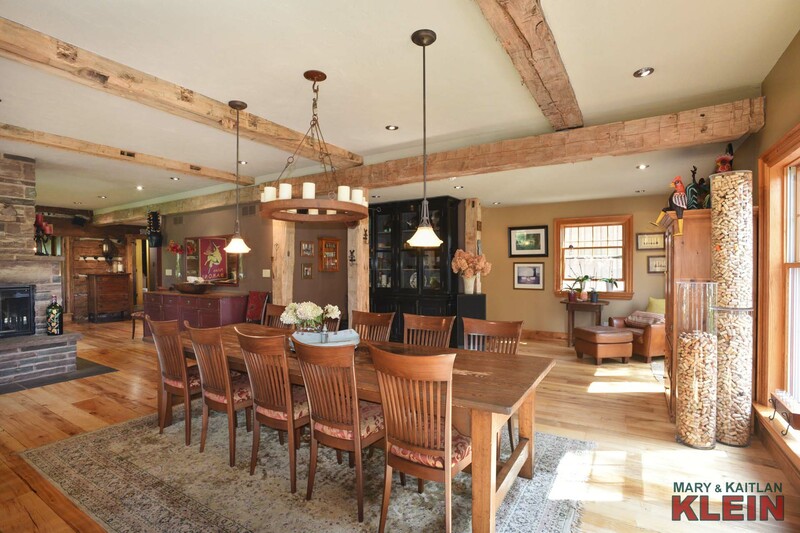 From the Sitting Room one enters into the open concept Family Area which combines the Dining Room & Kitchen. 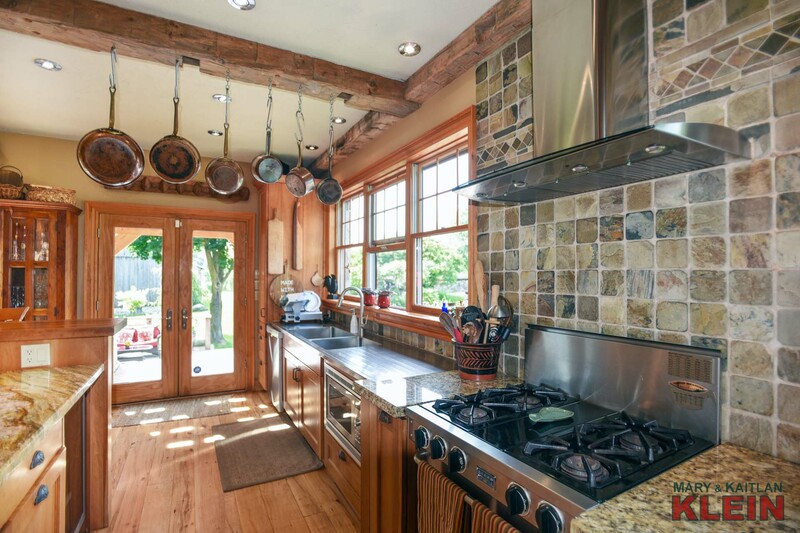 The see-through stone fireplace is one of the focal points, as well as a huge cherry wood breakfast bar with antique grate accents. The spacious and well equipped Kitchen has antique maple floors, exposed beams, cherry-wood cabinetry, granite counter tops, stainless fridge, dishwasher, propane gas stove plus 5-burner propane gas cook top, 2 electric built in double ovens, 2 stainless range hoods, a bar fridge, commercial style double sinks plus a round vegetable sink. 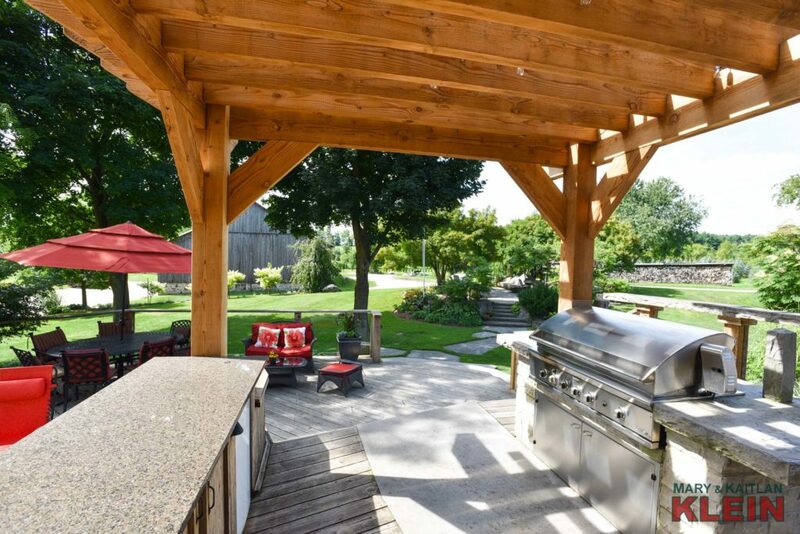 There are two walk-outs from the Family area to multiple tiered decking and a convenient stainless steel, built-in propane barbecue. 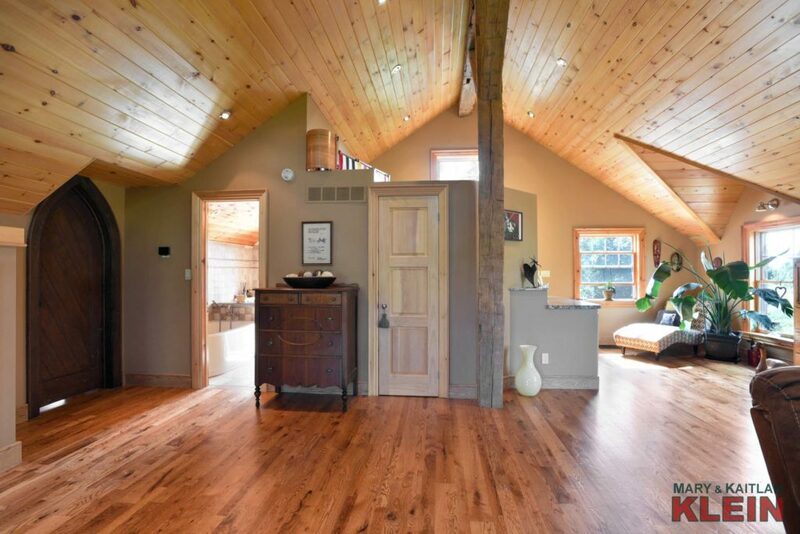 The spacious, upstairs open loft area is used as a Rec Room and has a wooden vaulted ceiling with gleaming oak floors, a walk-in closet and a 3-piece Bathroom with travertine on walls. 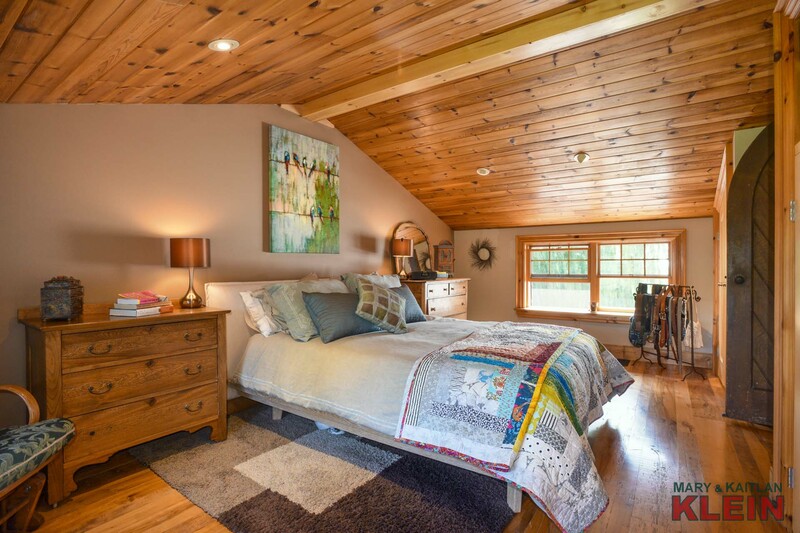 The Master Bedroom has a unique entry door, three closets, pot lighting and views overlooking the property. The Basement has heated ceramic flooring with storage under the stairs. 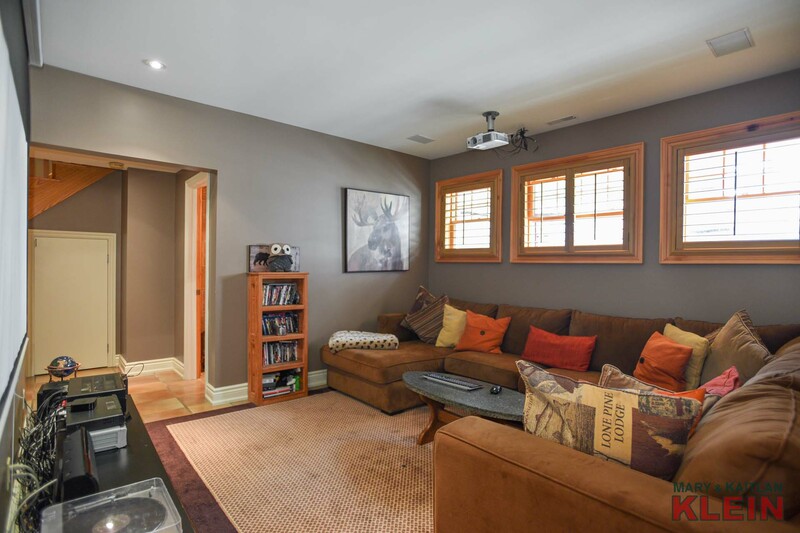 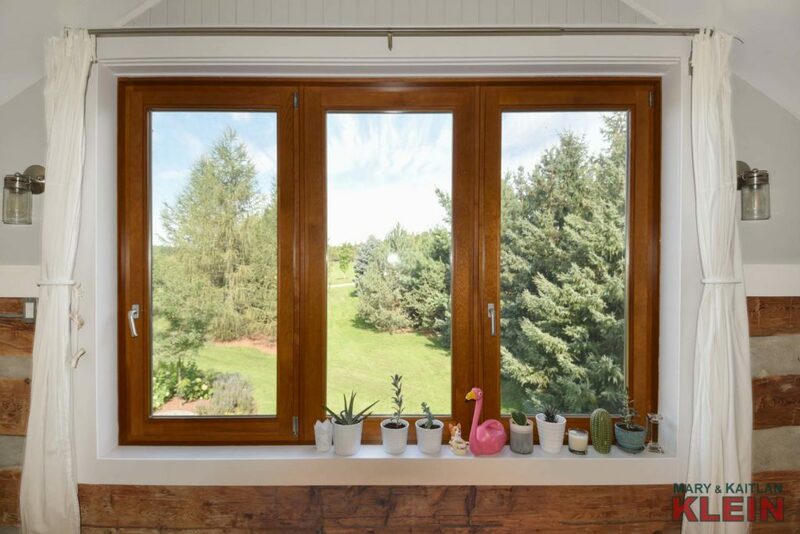 A Rec Room has above-grade windows and has been set up as an intimate area for viewing movies. 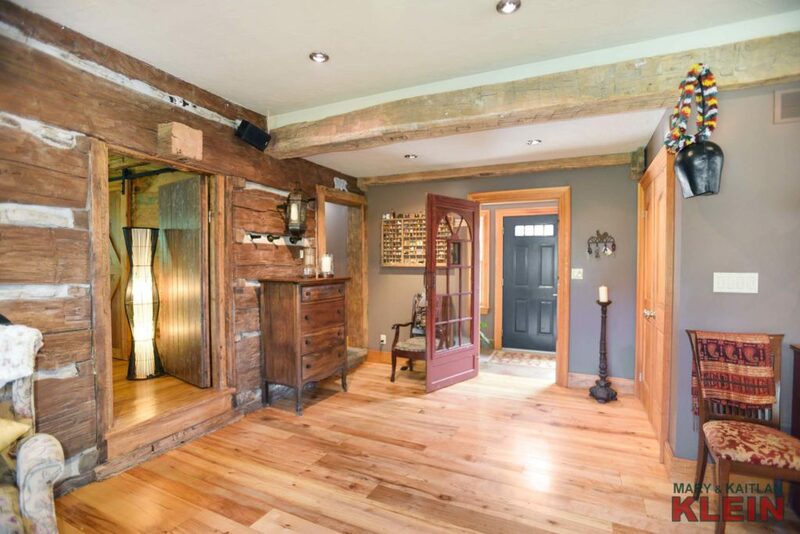 There are two Bedrooms in the basement with windows and closets. Another room suitable for an office has a closet, and a glass block wall allows light to flow through. 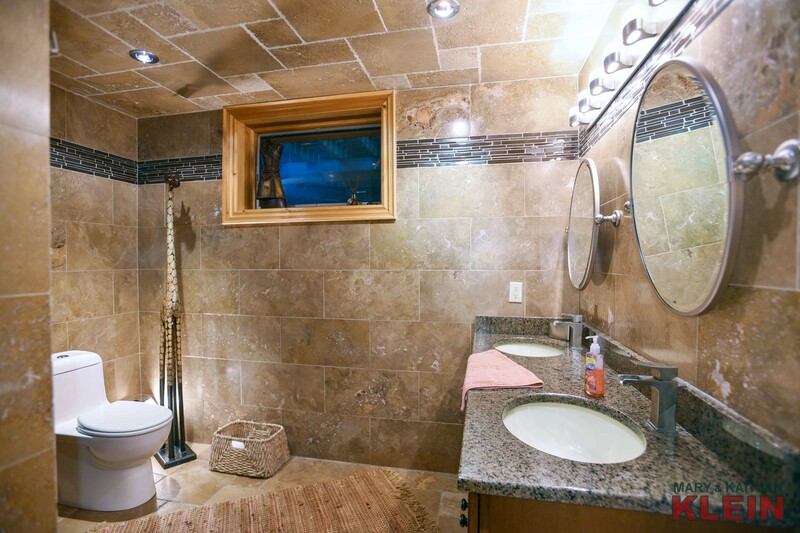 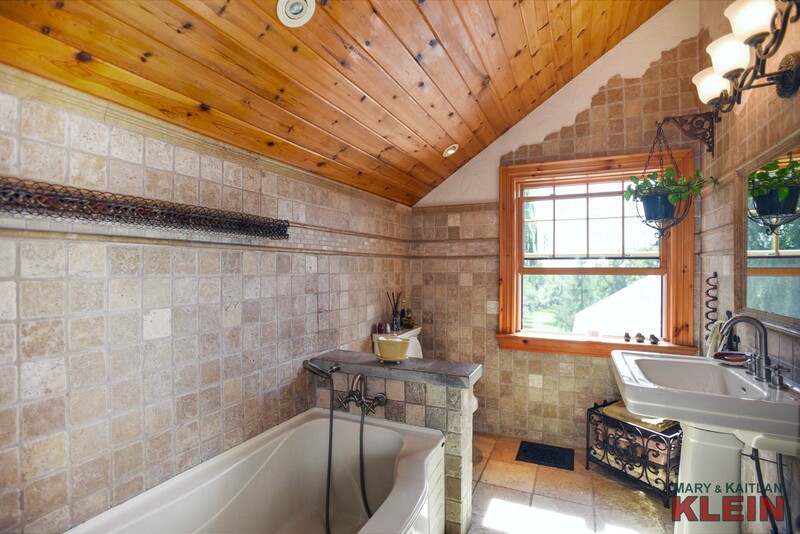 A lovely 4-piece basement Bathroom has double sinks, a granite counter, polished travertine walls, floors and shower. 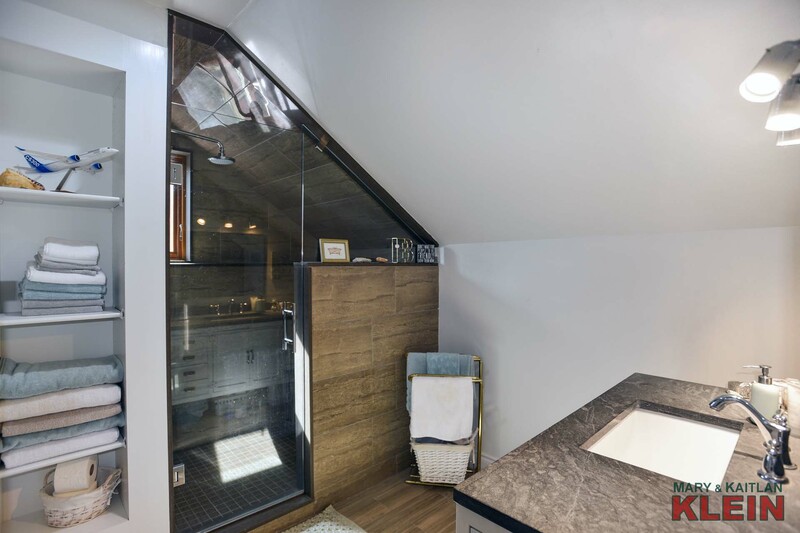 The nearby Utility Room contains the Laundry with washer & dryer, a folding area, a sink, an above ground window and a drying rack. 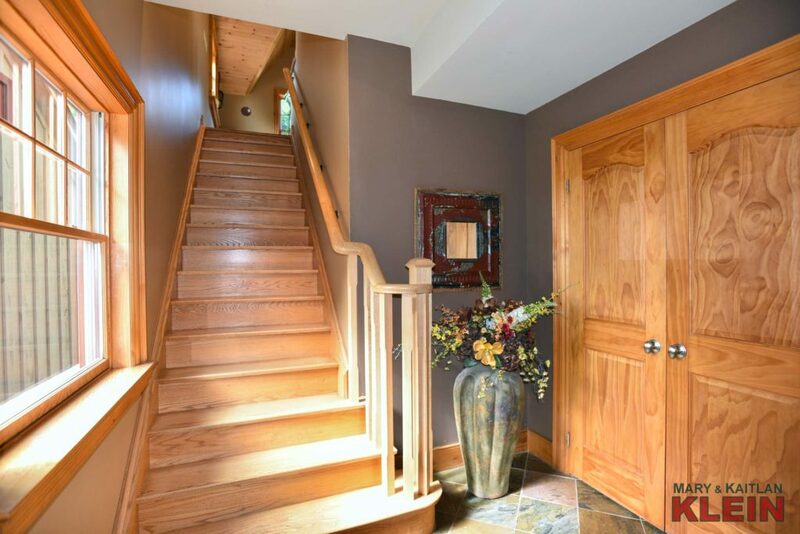 For the wine enthusiast, an entrance from the Laundry leads into a separate air conditioned wine room and fruit cellar. 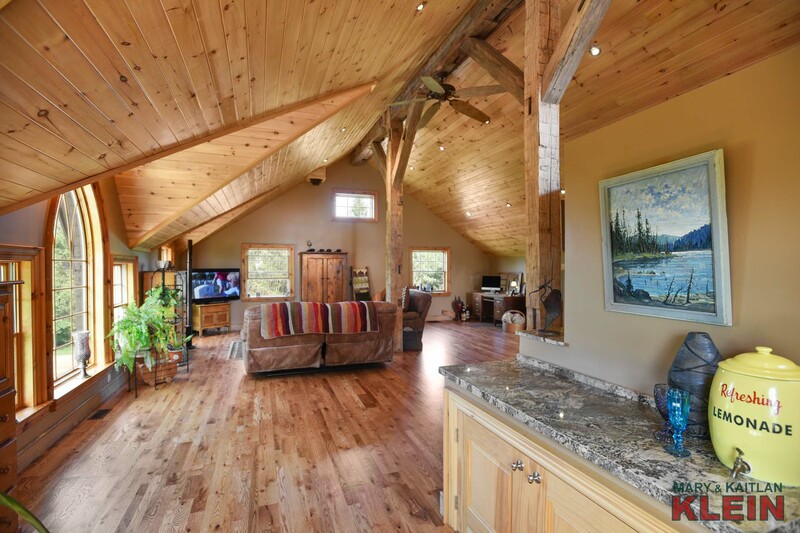 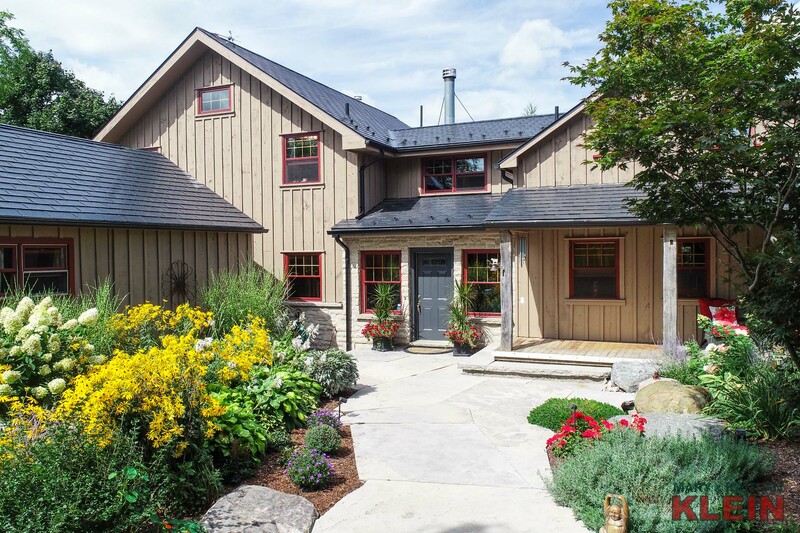 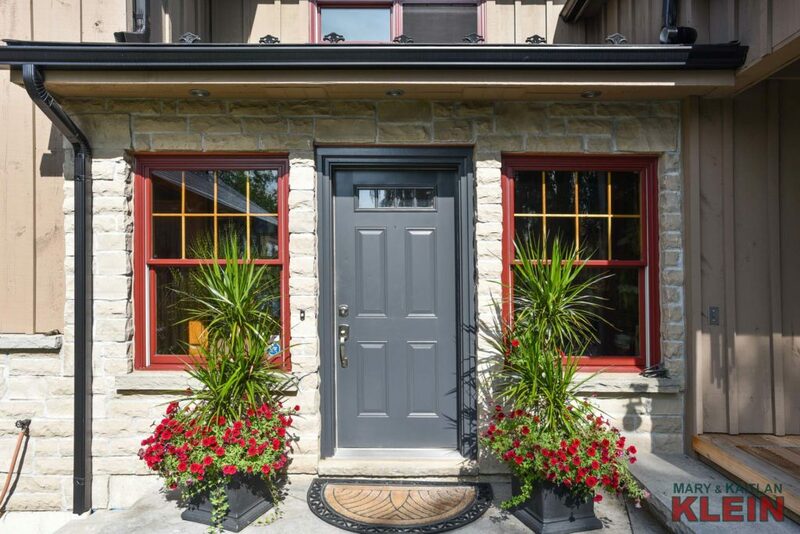 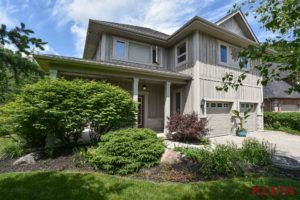 The in-law suite has a separate entry with decking, an open concept Living Room with electric fireplace, elm floors, reclaimed wood accents, original casing on windows, granite counter tops in kitchen with fridge, stove & built-in dishwasher. 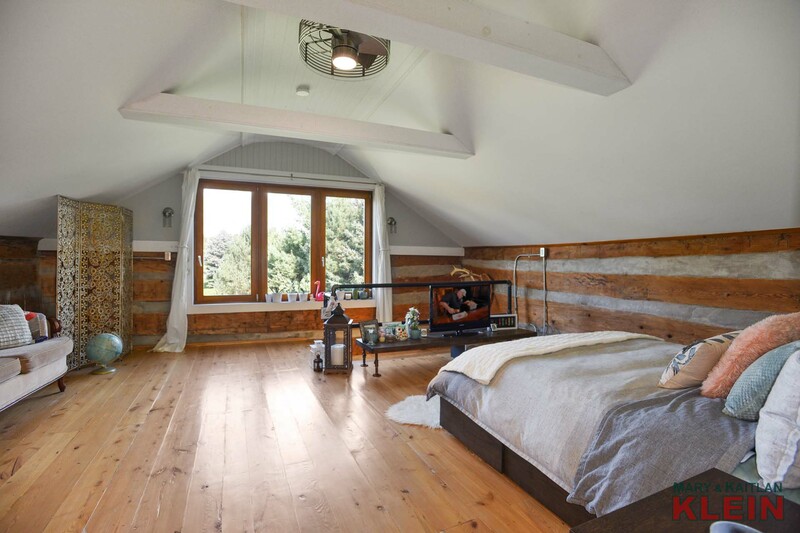 Upstairs is a “loft-type” Bedroom with gorgeous views with hemlock flooring, a custom 3-piece bathroom with in-floor heating, Quartz counter top and Restoration cabinetry. 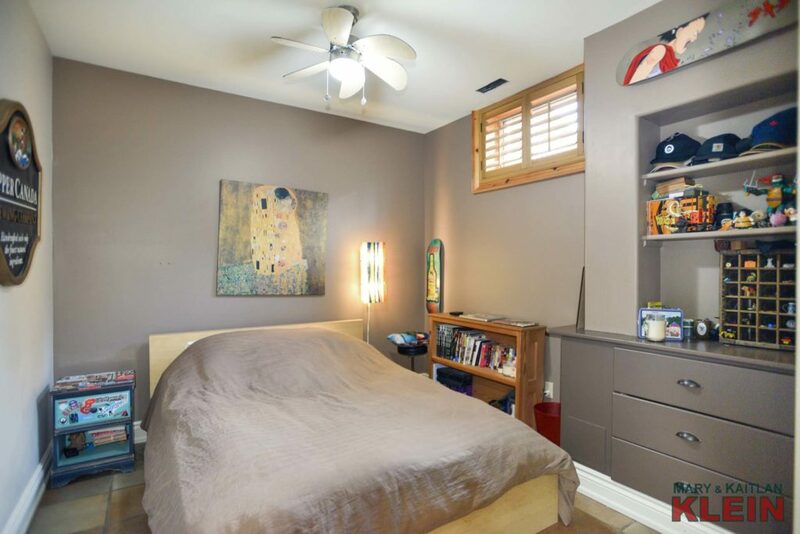 A walk-in closet has built-in shelving and organizers. 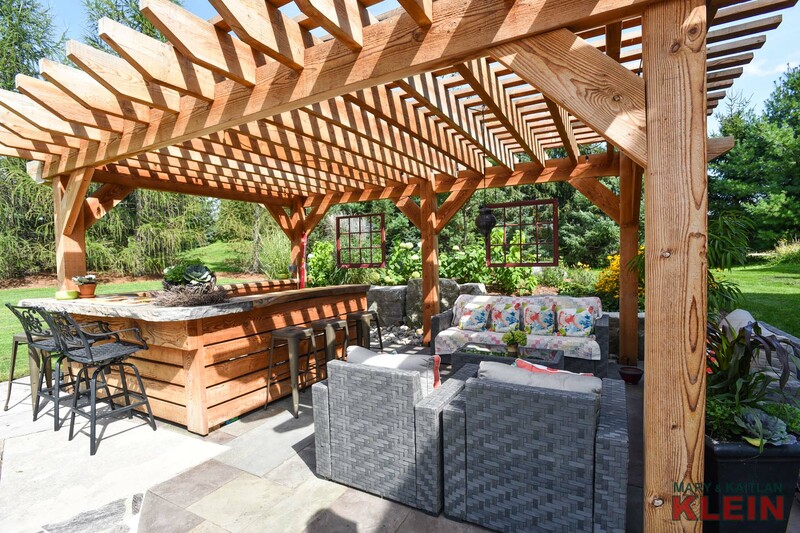 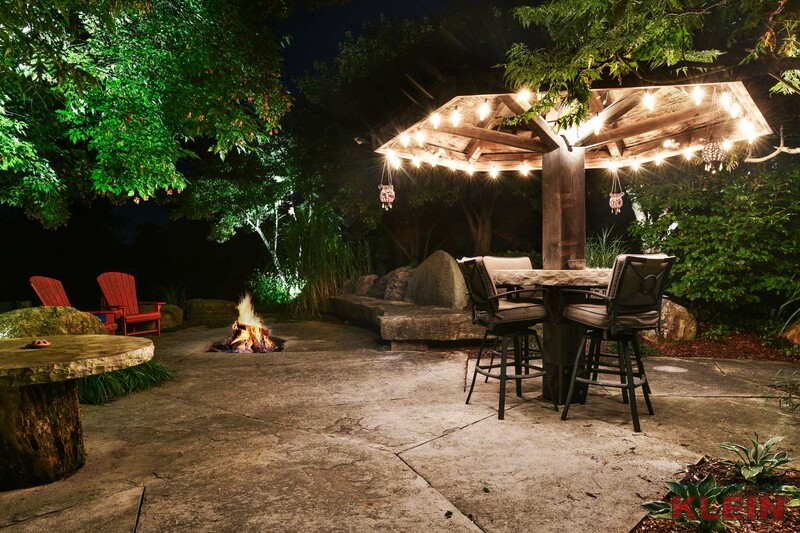 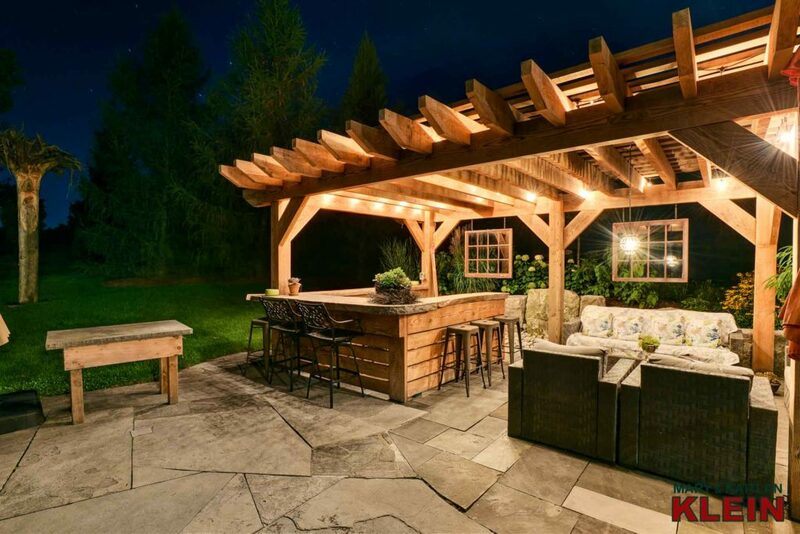 The outside area is an entertainer’s delight with patio areas with fire pit with two rock table accents, pizza oven, pergola with lighting and multiple level decking with built-in barbecue. 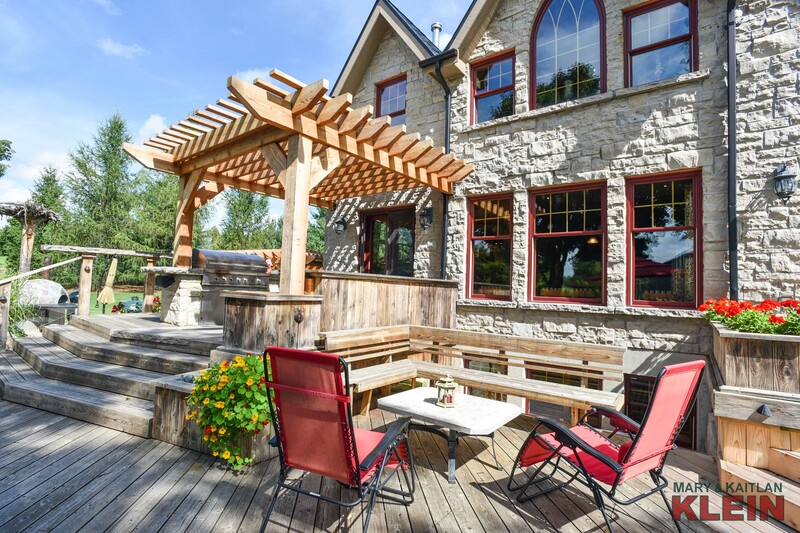 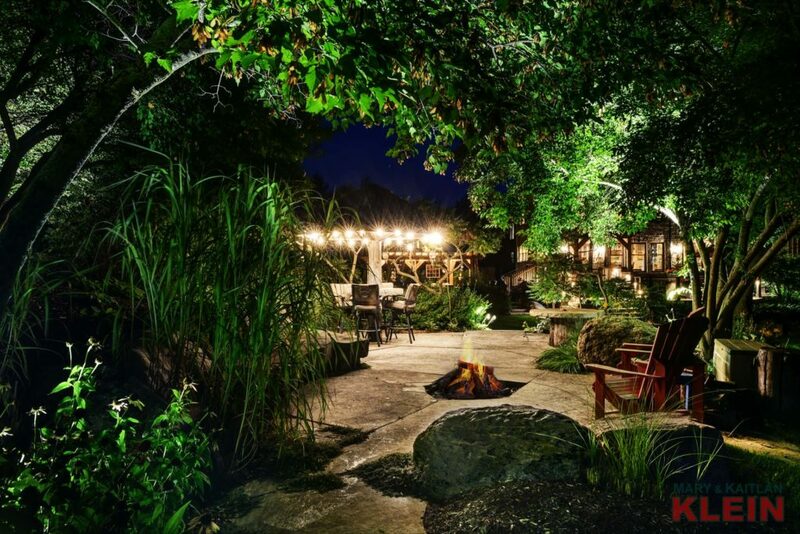 This property has been lovingly restored, improved and maintained by the present owners over the past eighteen years, including hand chiseled exterior window sills and a twenty-foot tall, hand-carved wood spirit tree that overlooks the Pergola and bar, and backyard. 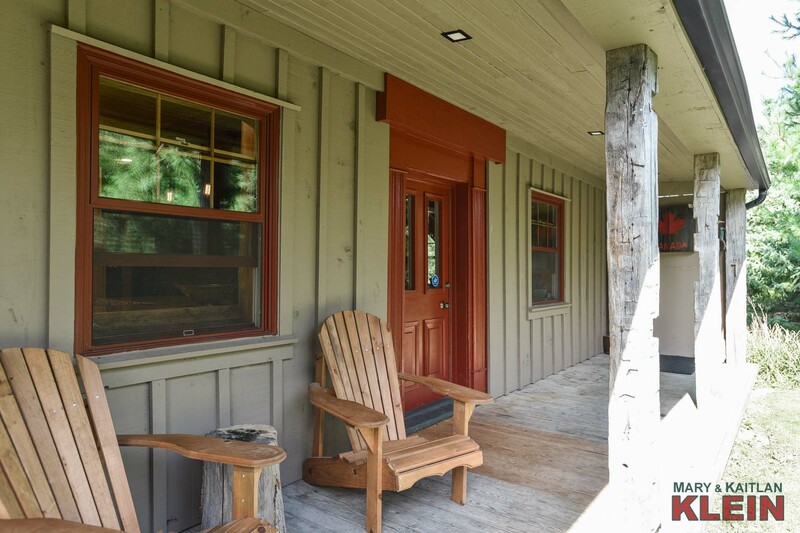 Home Office: Separated from your living quarters and perfect for an in-home office, this detached building is loaded with character. 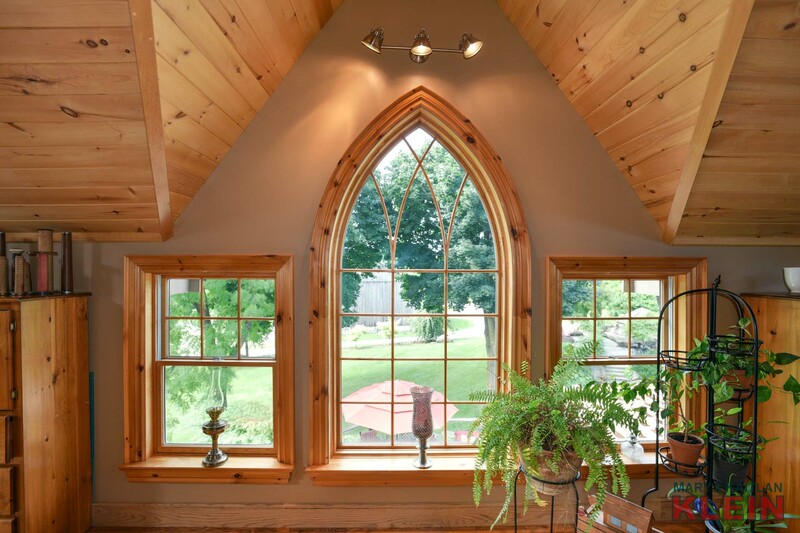 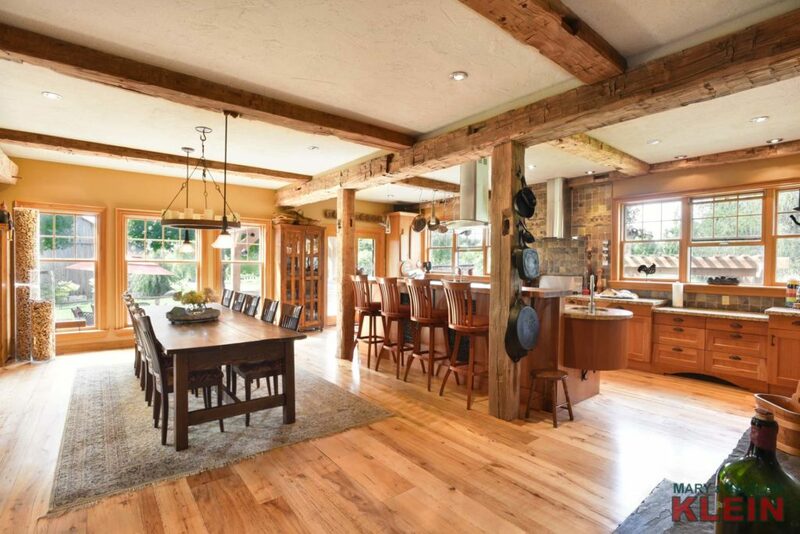 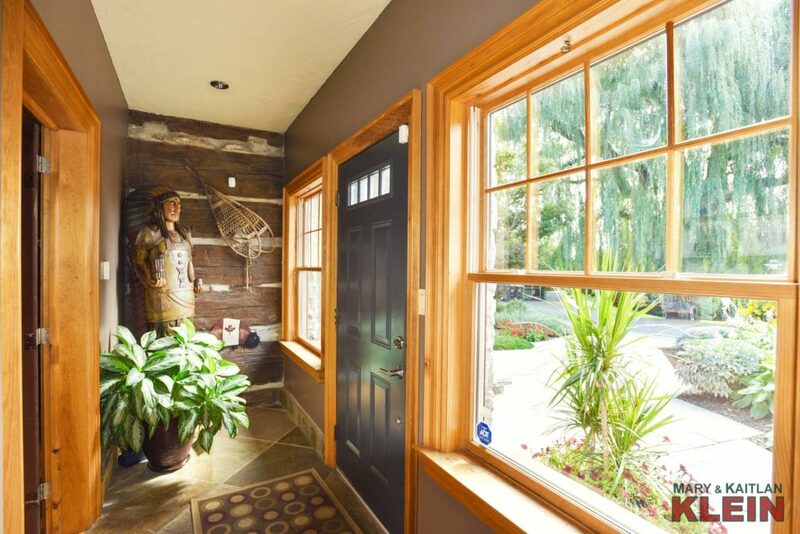 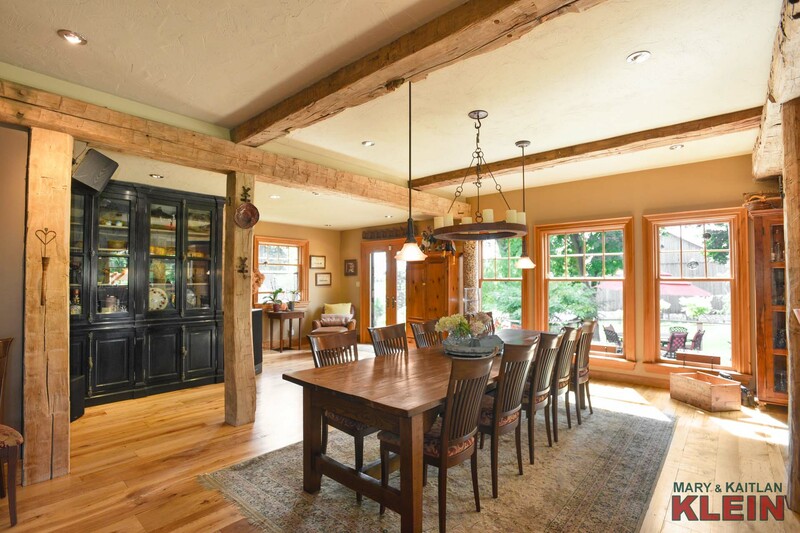 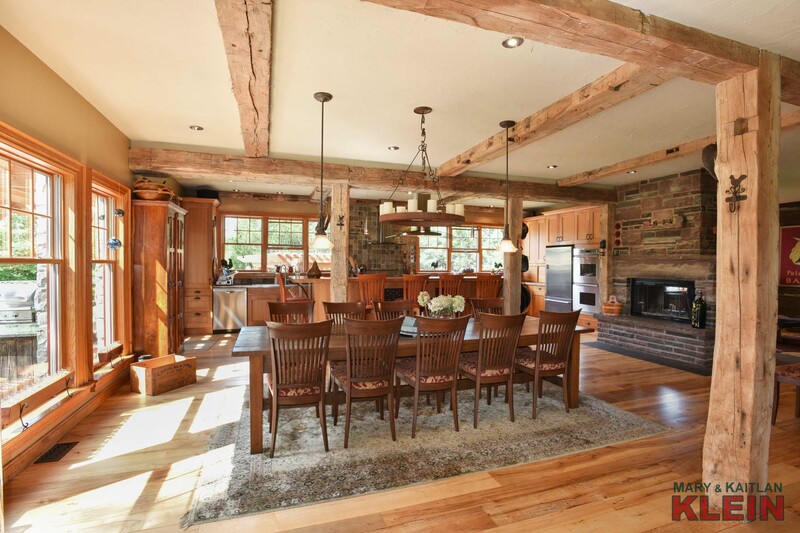 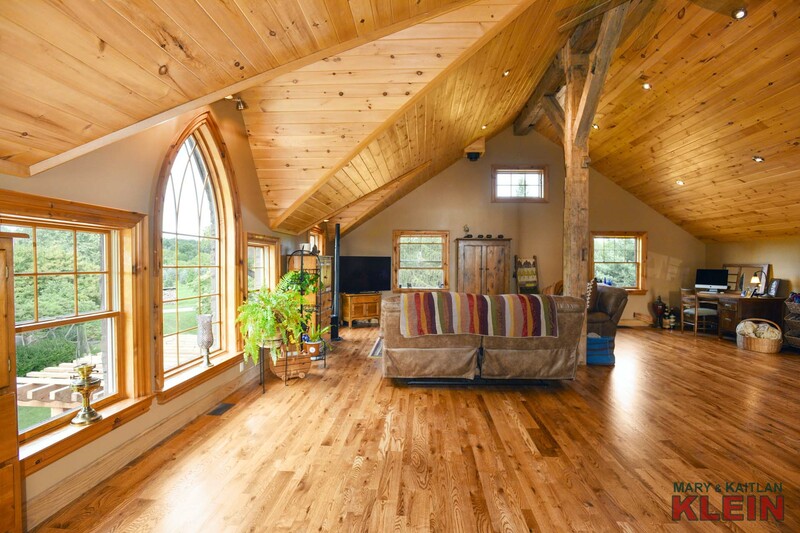 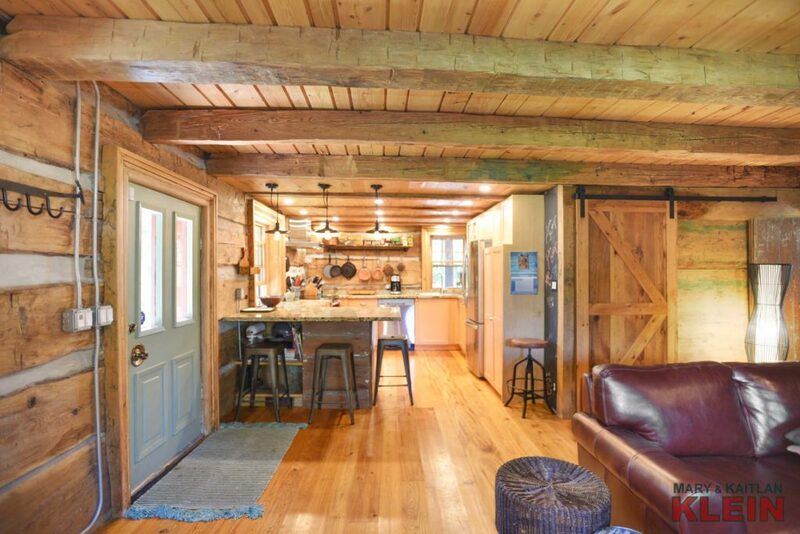 The foyer has a flagstone entry with invisible fencing for pets, an open concept working area with exposed barn board and beams, cherry floors, storage area, closets and the original school bell from the Grange school house, that sits atop. 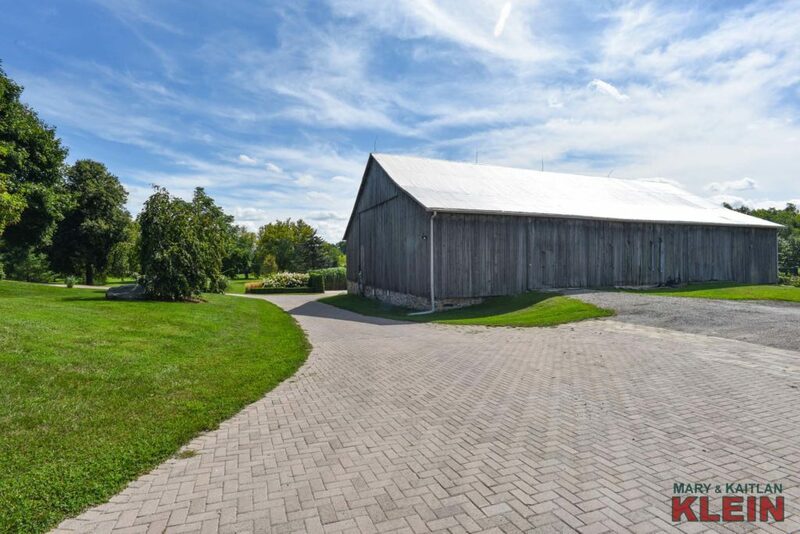 Bank Barn: The barn is 88 x 56 feet, in good condition with a newly painted roof and an upgraded 100 amp electrical panel and meter. There is no water to the barn, but pipes are roughed-in. 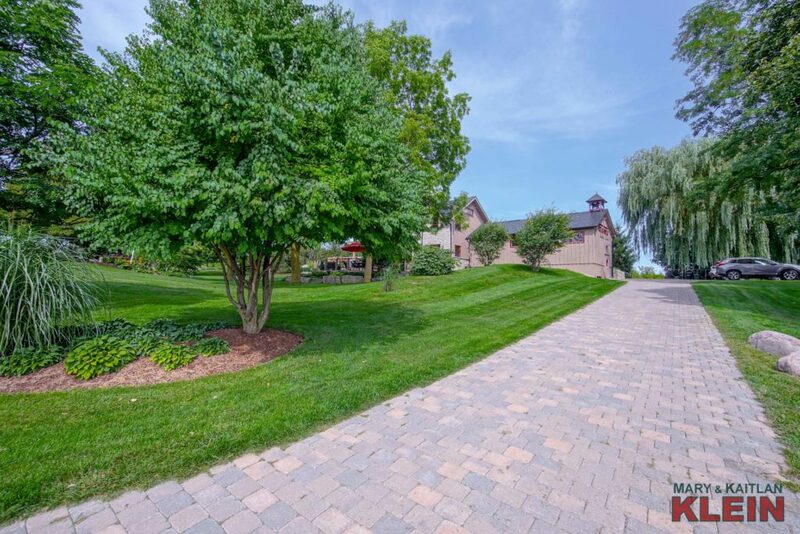 A large portion of the area in front of the barn is in stone pavers and used for parking. 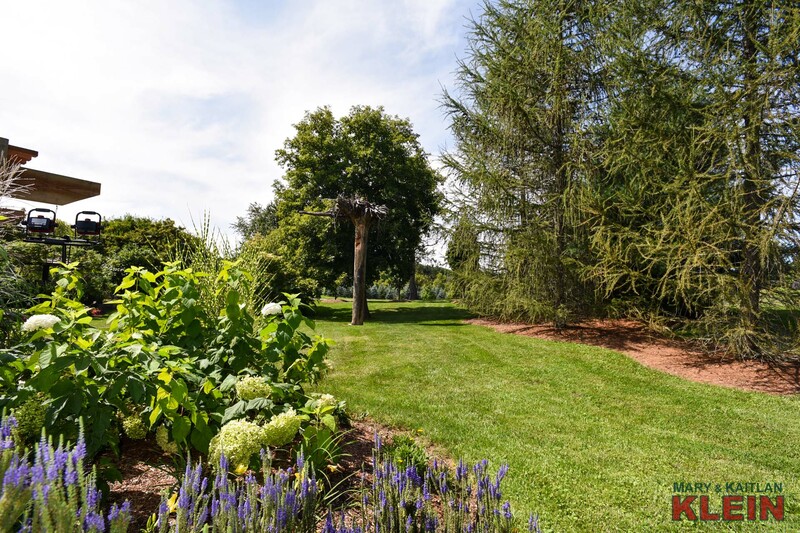 Grounds: There are apple and pear trees and five acres have invisible fencing which is also around the fire pit for protection of dogs. 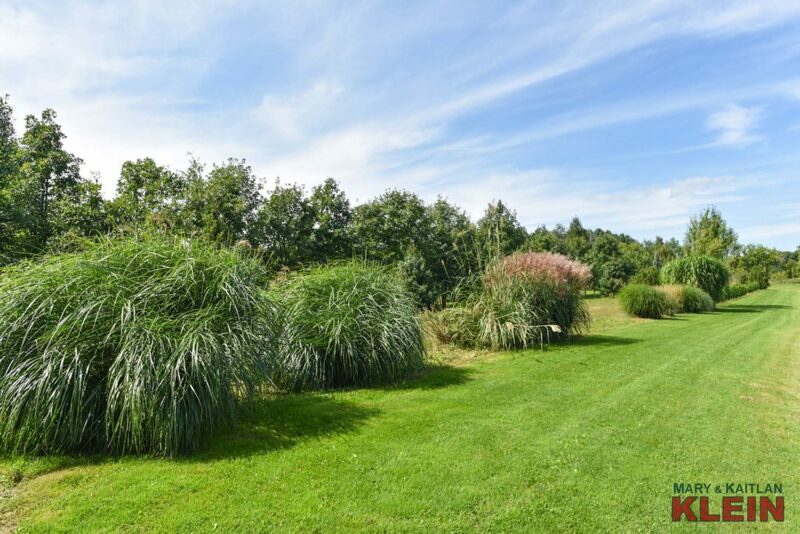 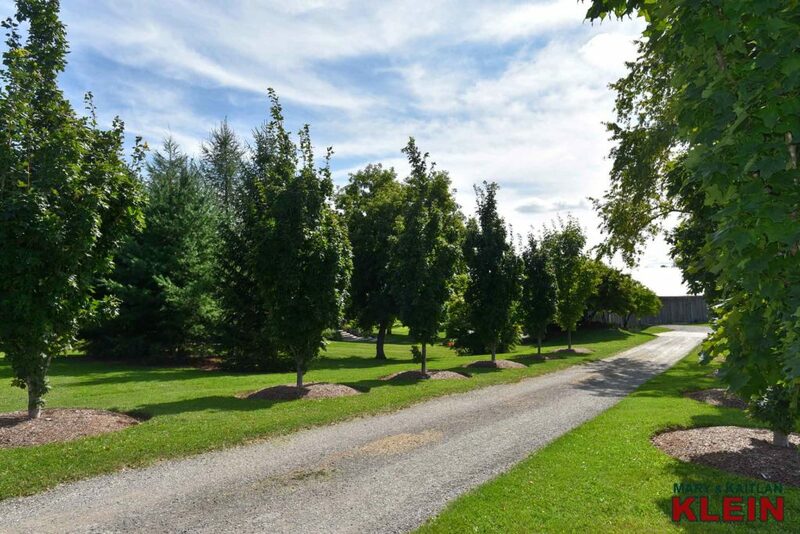 There are three acres of nursery trees including evergreens, maples, and ornamental grasses. 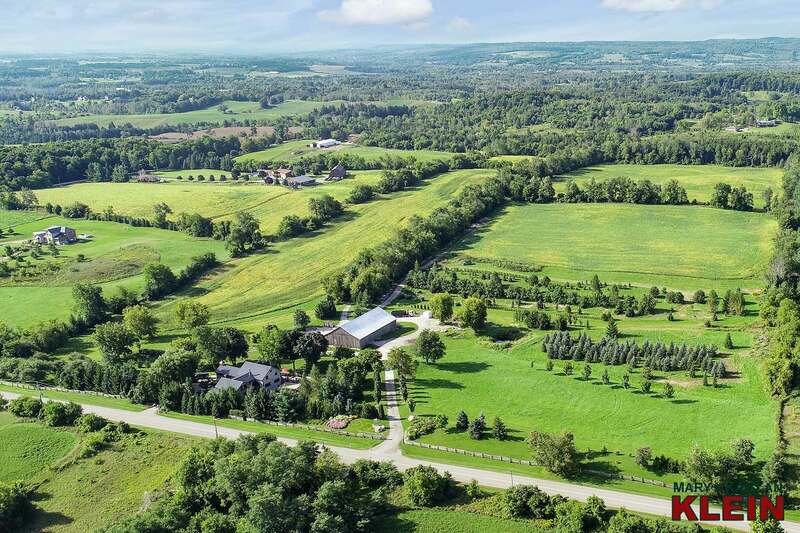 The tenant farmer rents approximately 15 acres for $500 per season which qualifies the property for a farm tax credit. 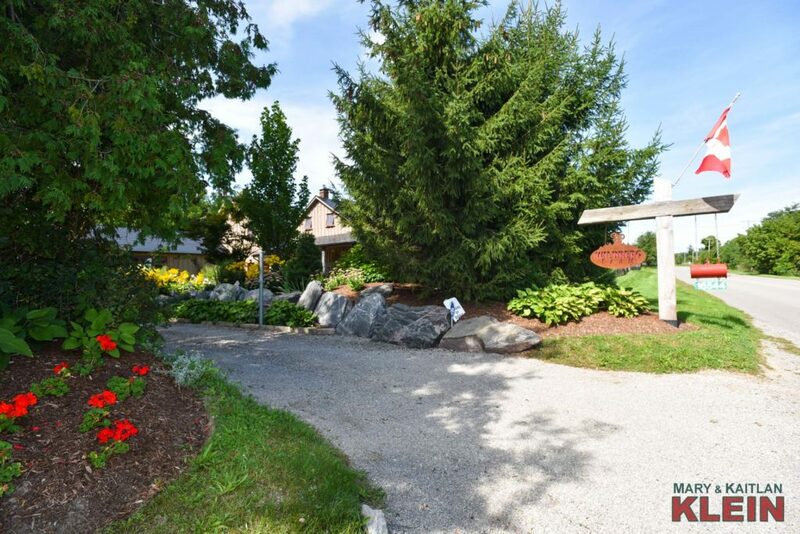 Included in the purchase price: in-law fridge, stove, dishwasher on main level; 5 burner gas cooktop in island, built-in electric double overs, fridge, 4 burner gas stove, microwave, 2 hood fans, built-in bar fridge, built-in dishwasher, washer, dryer, central vacuum system (new house only), projector & screen in basement, window air conditioner in office & master bedroom, water softener and original school bell which originated on the Grange in an old schoolhouse. 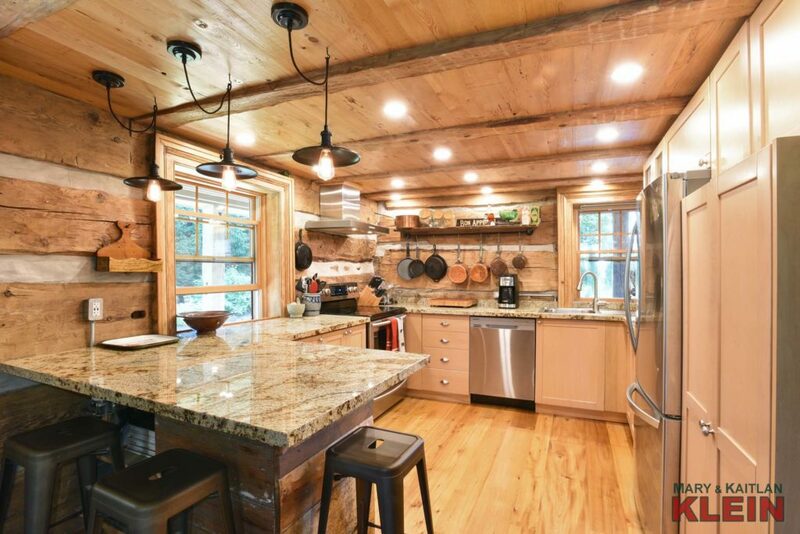 Outside inclusions: camera in west workshop & out front of barn, shelving in barn, table saw in east workshop, built-in barbecue off kitchen, pergola with hanging window panes, pizza oven, flag pole, 2 stone top tables near firepit. 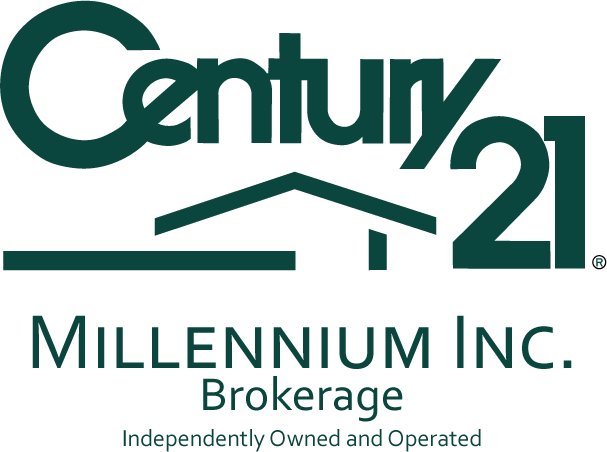  Exclude: freezer in detached office outbuilding, 3 propane tanks & water heater (rentals). 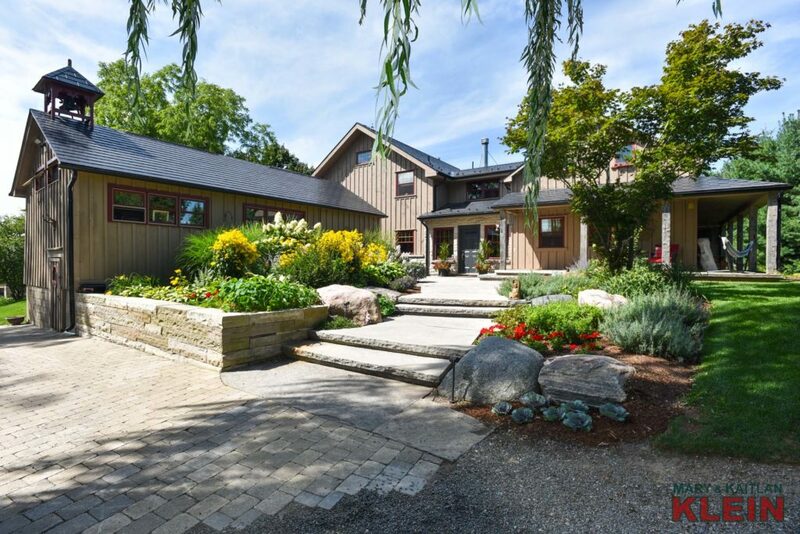 Mechanicals: 200 amp hydro panel in the house and a separate hydro meter for the barn and office is 100 amp; Unilock Metal Roof with warranty; in-floor radiant heating in upstairs foyer, basement and in-law bathroom; oil tank is owned and inspected each year and supplies heat to the In-Law apartment as well as the main floor of the addition; a second furnace heats the upstairs area of the addition and this area also has spray form insulation; copper wiring; Vanee air exchanger; 3 propane tanks & water heater are rented. There is hard wiring for a generator and roughed in hydro conduit for a hot tub. 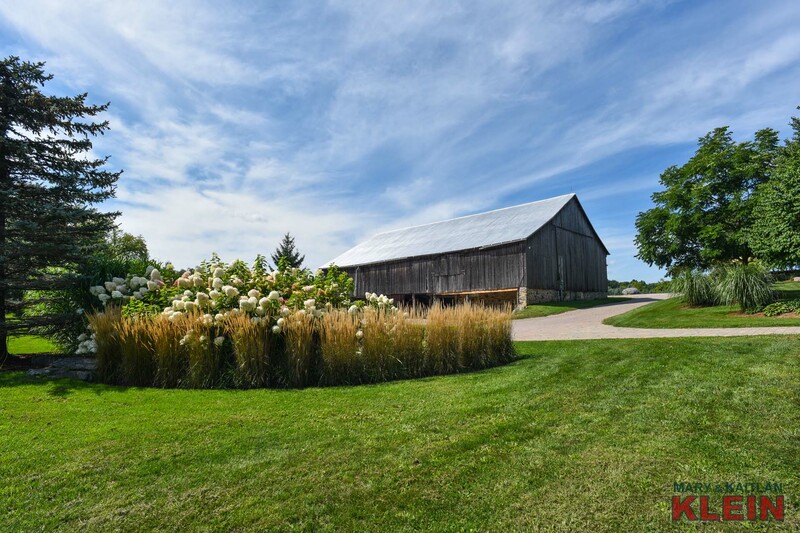 Septic & Well: There are two septic systems consisting of old and new sections in the south-facing field in between the barn and the house. 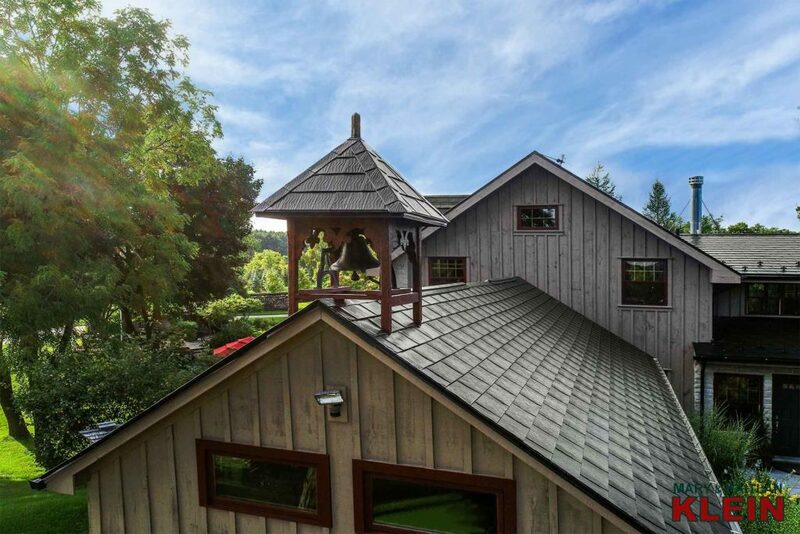 The well is bored and located off the rear deck. To begin the tour, click the PLAY button, then DOUBLE CLICK on a room of your choice. 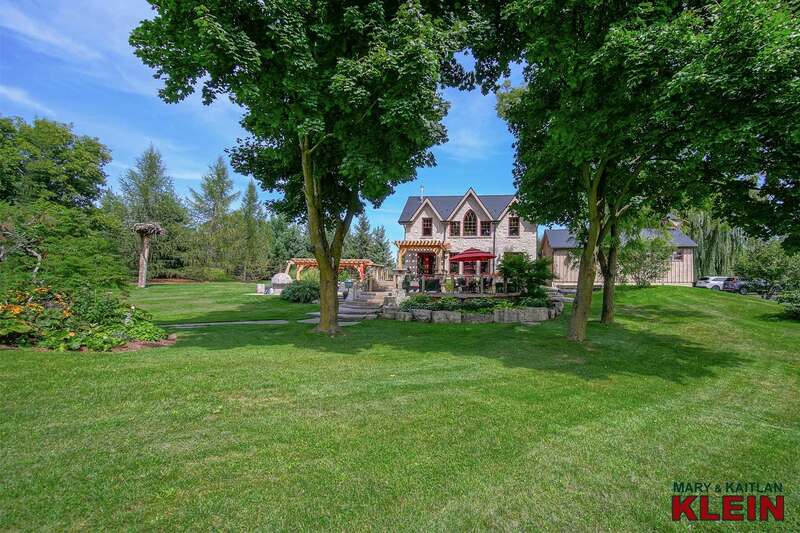 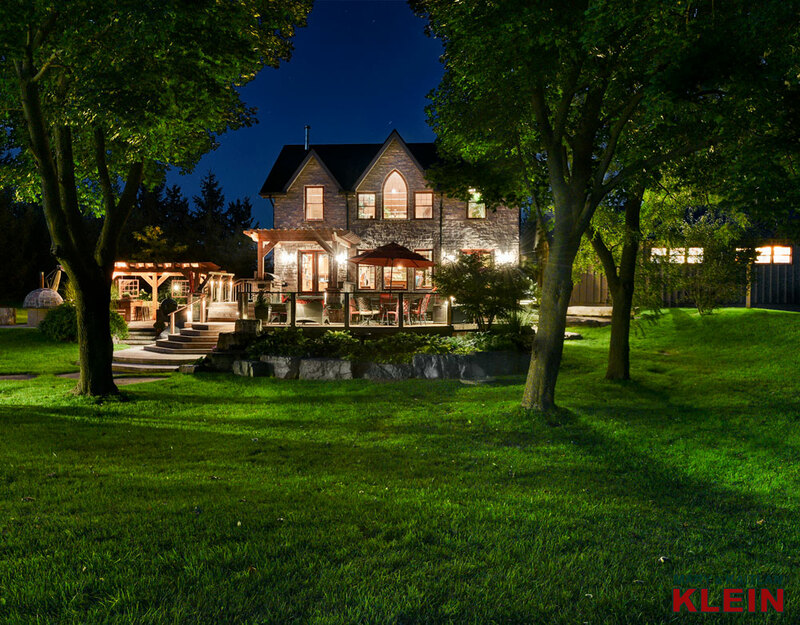 Do you Have a Question About This Home on Horseshoe Hill Rd, Caledon?